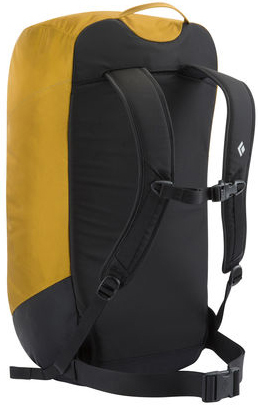 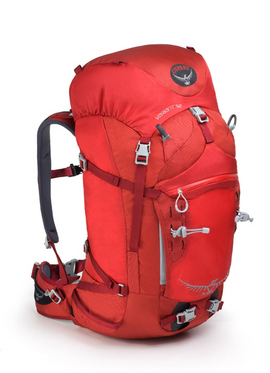 The Variant 52 is a top loading, unisex pack designed specifically for alpine climbing and expedition mountaineering. Load Range™ The green to yellow zones represent the recommended load range for this pack. The Variant 37 is a top loading, unisex pack designed specifically for ski mountaineering and ice climbing. 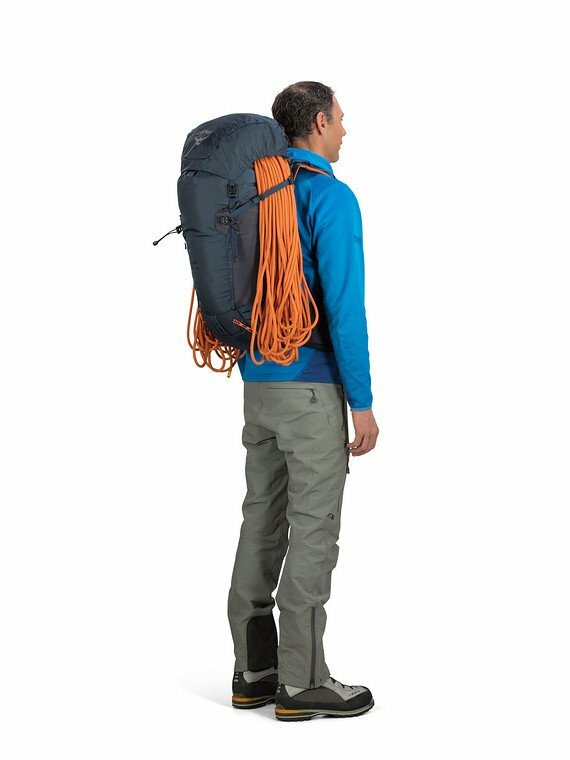 We learned everything we could from our guides and athletes to ensure that when you're heading to bigger ranges for more committing objectives that require extra gear, the Mutant 52 has everything you need for the approach to basecamp and the route ahead. 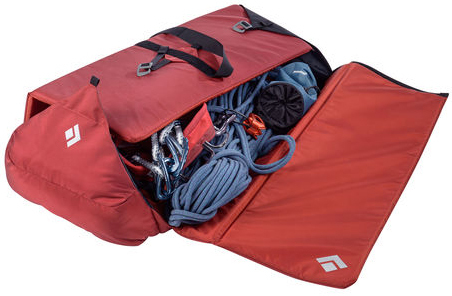 The cavernous main compartment has a ton of room for gear and clothing, dual ice tool attachments, reinforced A-frame ski carry, and wand/picket pockets secure your toys and necessities to the exterior and for harder pitches a three-point haul system allows you to bring the pack up once you've established the belay. 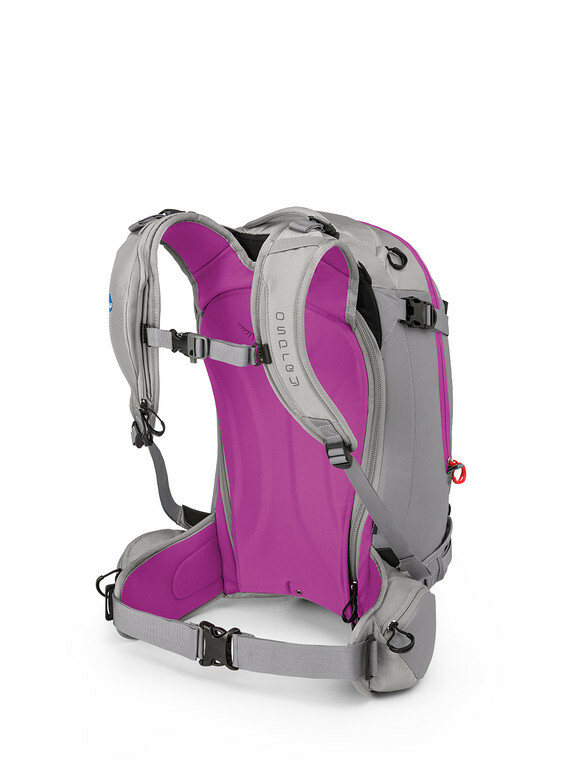 The hipbelt includes gear loops, and if you're moving light and fast and need access to your harness, the top lid and hipbelt are removable to save weight and space. 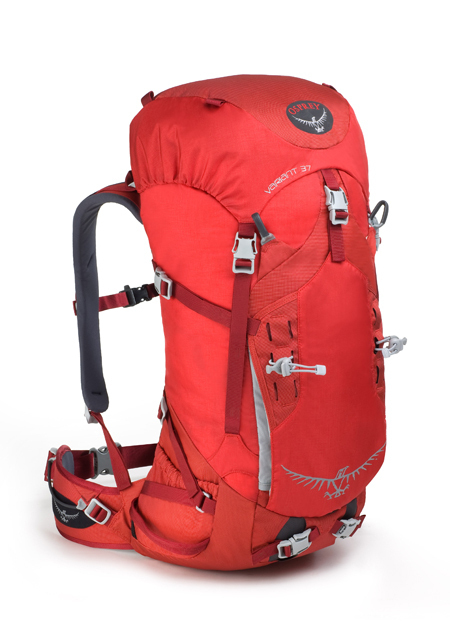 Like every pack we make, the Mutant 52 is backed by our All Mighty Guarantee. 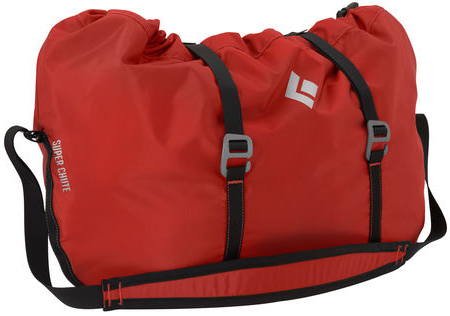 For big climbs and long approaches, the Mutant 52 is the way to go. 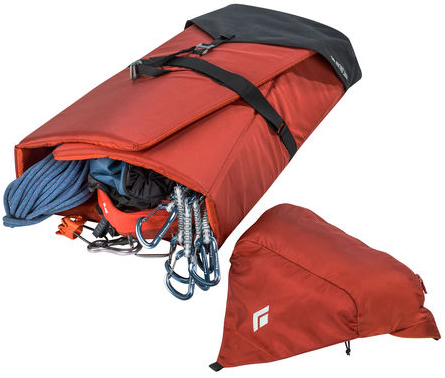 Designed by guides and athletes, the Mutant 38 fits perfectly between its bigger and smaller siblings; great for long days in the mountains that don't require setting up basecamp but might require a ledge-bound shiver-bivy. 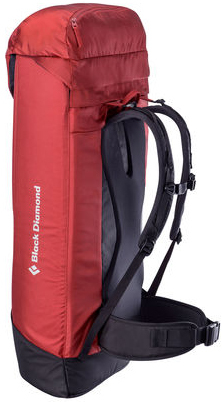 The backpanel sheds snow and easy-to-use ice tool attachment and glove-friendly buckles mean less time fiddling with your pack. 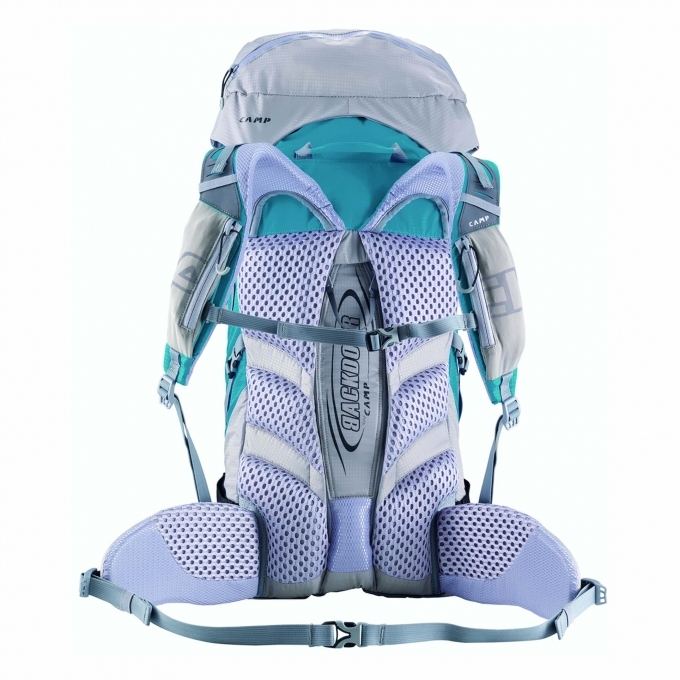 With a hipbelt that includes gear loops and stashes behind the pack to provide access to your harness when you need it, plus integrated helmet and rope carry, the Mutant 38 is a nimble and capable alpine machine that fits better and feels more comfortable than what you’re used to. 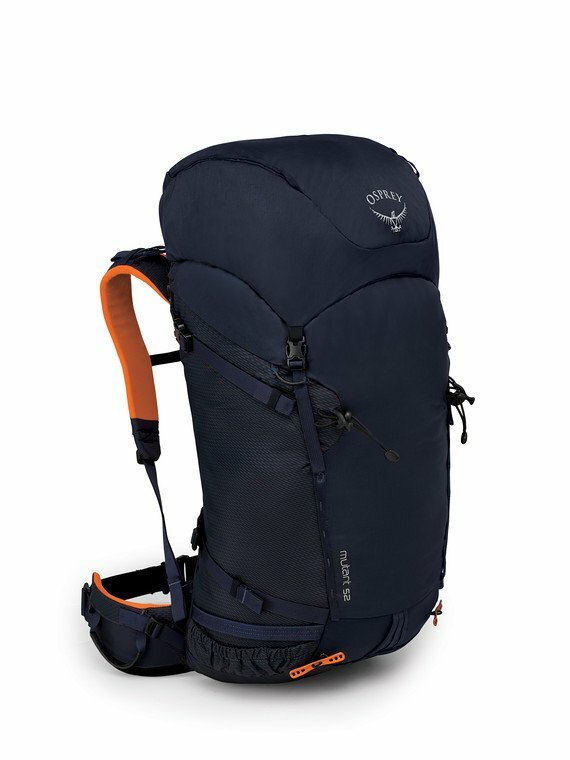 Whether you're enjoying a North Cascade's classic or getting showered by spindrift in the Canadian Rockies, the Mutant 38 can do everything you need except belay you on the next pitch. 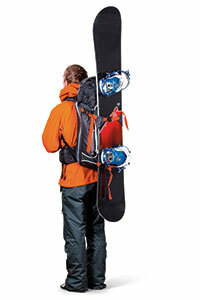 Read the review of the Mutant 38 at Rock & Ice. 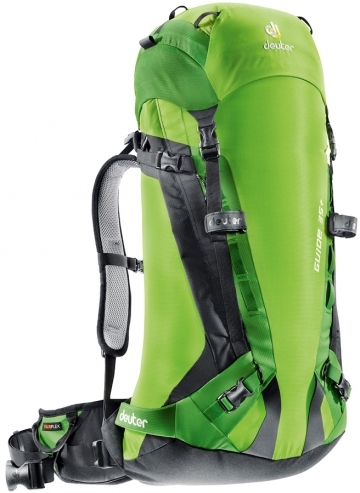 Featuring quick and easy access to critical snow safety gear and more than enough room for technical ascents and multi-day hut trips, the Kamber 42 is ideal for both snowboarders and skiers alike. 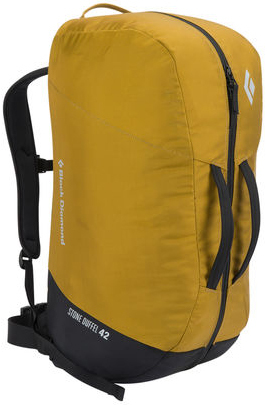 Featuring quick and easy access to critical snow safety gear and more than enough room for the gear you need on technical ascents and multi-day hut trips, the Kamber 42 is ideal for both snowboarders and skiers alike. 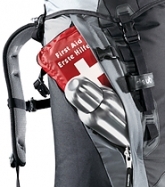 Safety matters most in the backcountry, so we developed a large J-zip access panel on the front of the pack with multiple, glove-friendly zipper pulls so you can get to your probe and shovel without wasting critical seconds. 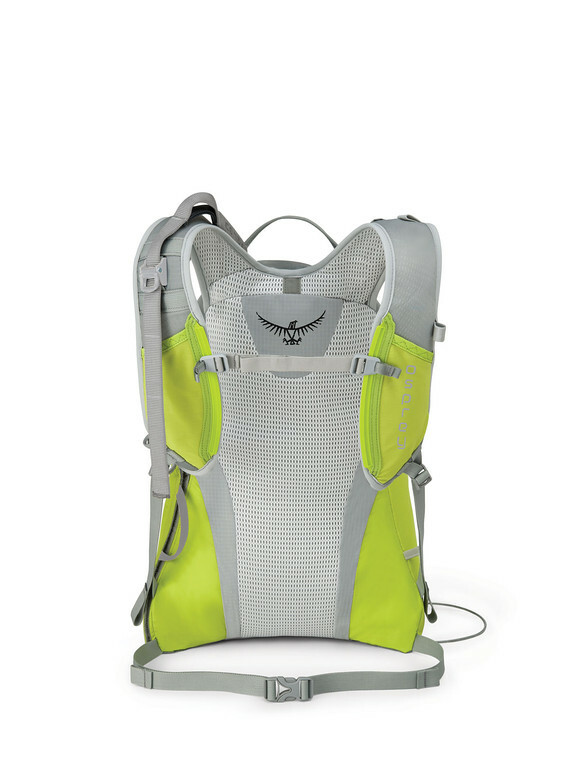 On long ascents deploy the stowable helmet carry when appropriate to stay cool, and if you get thirsty there’s an internal hydration sleeve and an insulated harness sleeve to keep your bite valve handy and ice-free. 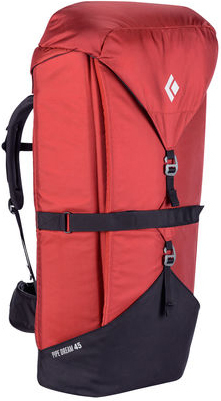 The Kamber 42 accommodates nearly every ski and snowboard carry option including; vertical, A-frame, diagonal and horizontal/vertical snowboard carry with smartly reinforced contact points to protect from sharp edges. 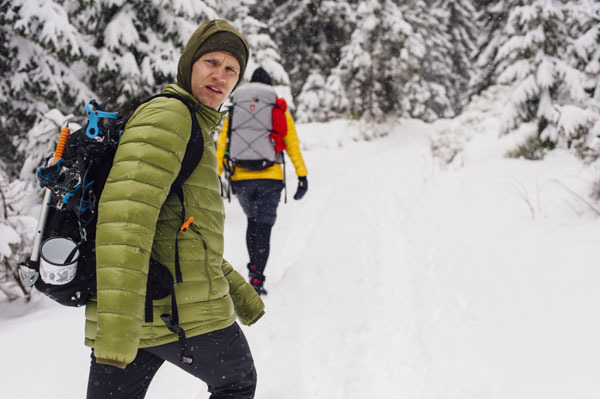 Other winter specific features like a scratch-free fleece-lined goggle pocket round out one of the most capable, durable, and functional technical backcountry snow packs we have ever made. 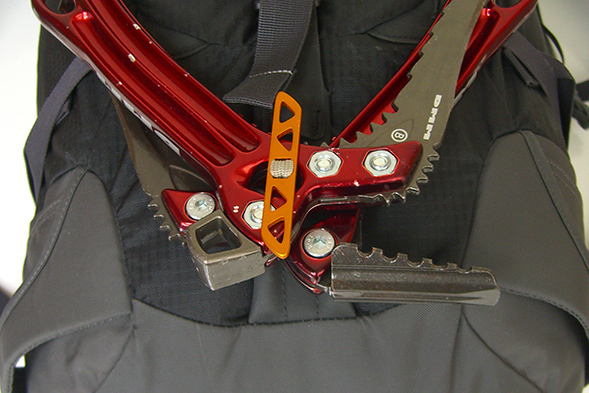 Technical ascents demand ice axes or tools, and two tool loops with bungee attachment provide secure attachment when they aren’t in use. 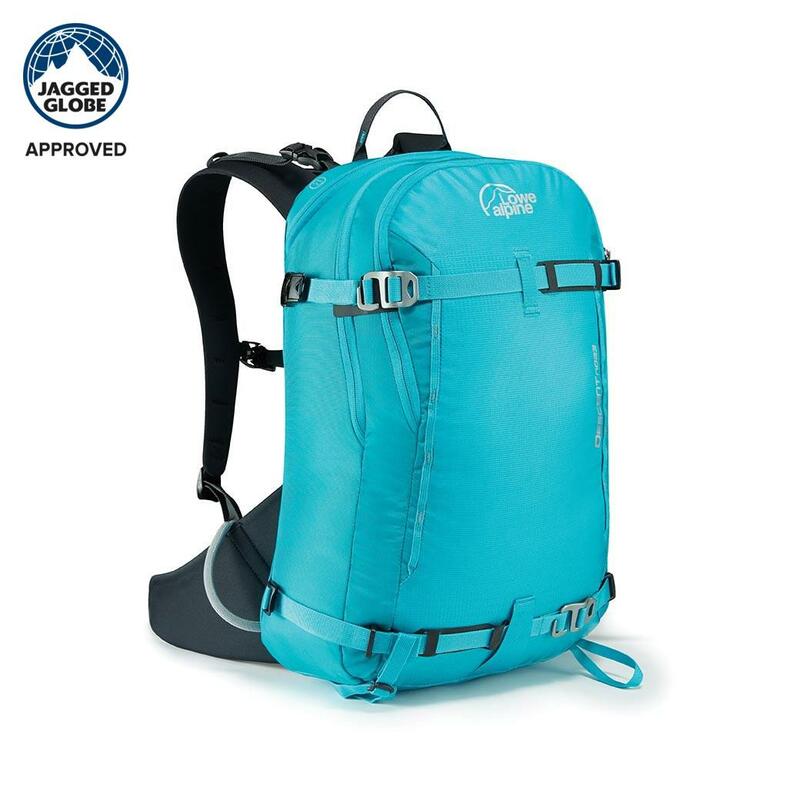 Under the dual-compartment and removable top-lid you’ll find a rope compression strap for glacier travel and sharp ridgelines. 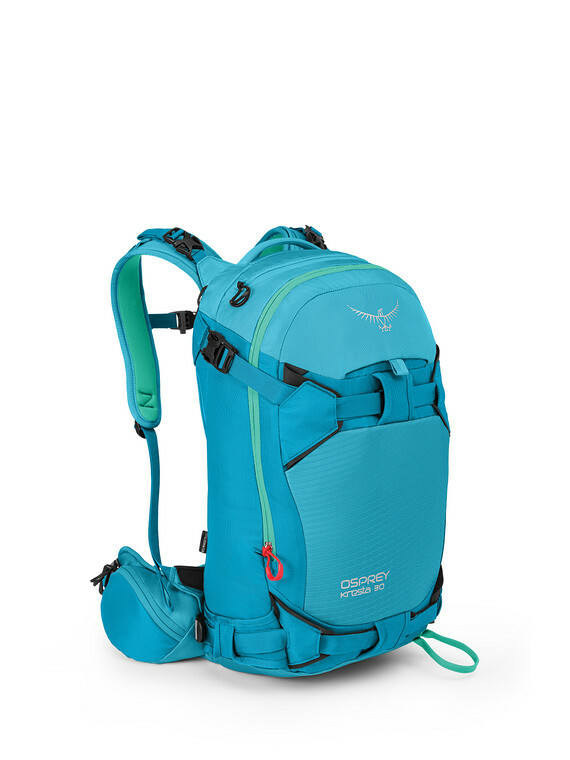 Even when loaded with up to 40lbs the LightWire™ suspension, padded hipbelt and contoured shoulder straps provide a comfortable carry even when breaking trail toward distant peaks. 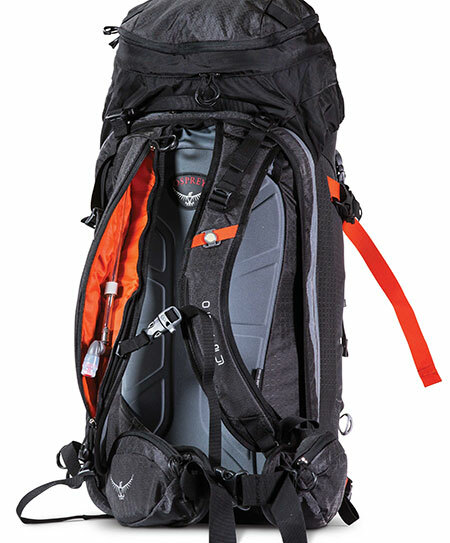 When you set your pack down to transition or for a snack, zippered backpanel access keeps the snow out of your gear and provides easy access to gear no matter where you stuffed it in this dual-access top loading machine. 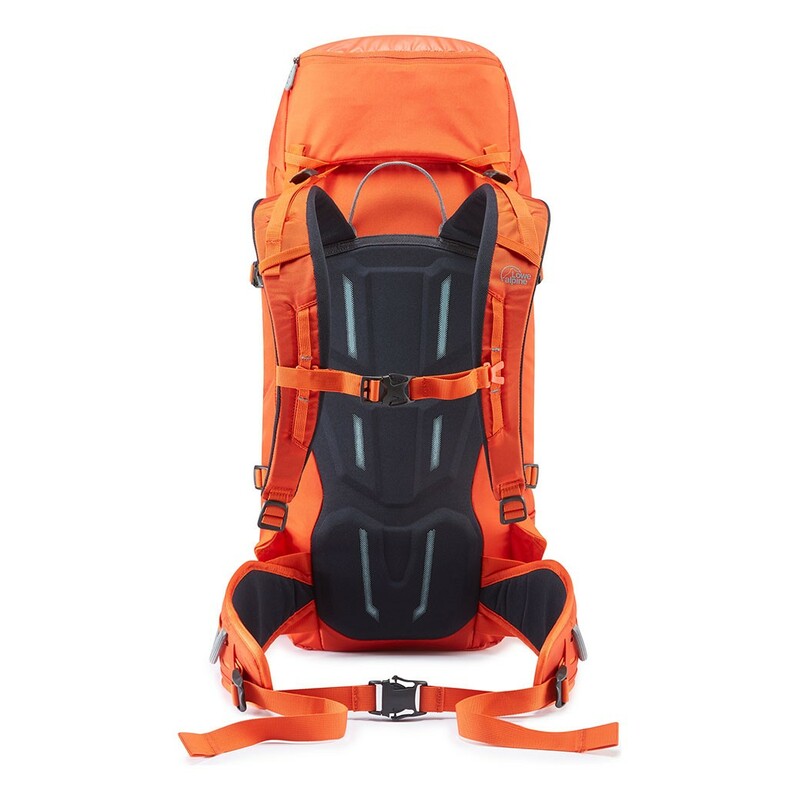 Designed for backcountry skiers and boarders, the Osprey Kamber 22 is the perfect size for spring backcountry tours or lift-accessed tours off the ski area. 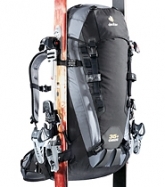 Featuring quick and easy access to critical snow safety gear and more than enough room for technical ascents and multi-day hut trips, the Kresta 40 is ideal for both snowboarders and skiers alike. 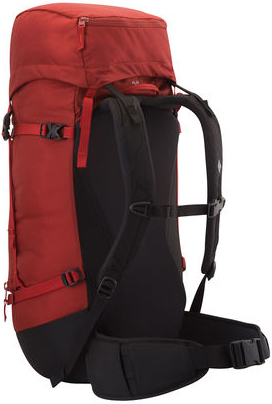 Featuring quick and easy access to critical snow safety gear and more than enough room for the gear you need on technical ascents and multi-day hut trips, the Kresta 40 is ideal for both snowboarders and skiers alike. 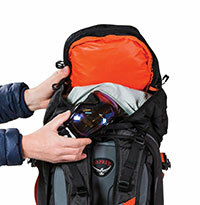 Safety matters most in the backcountry, so we developed a large J-zip access panel on the front of the pack with multiple, glove-friendly zipper pulls so you can get to your probe and shovel without wasting critical seconds. 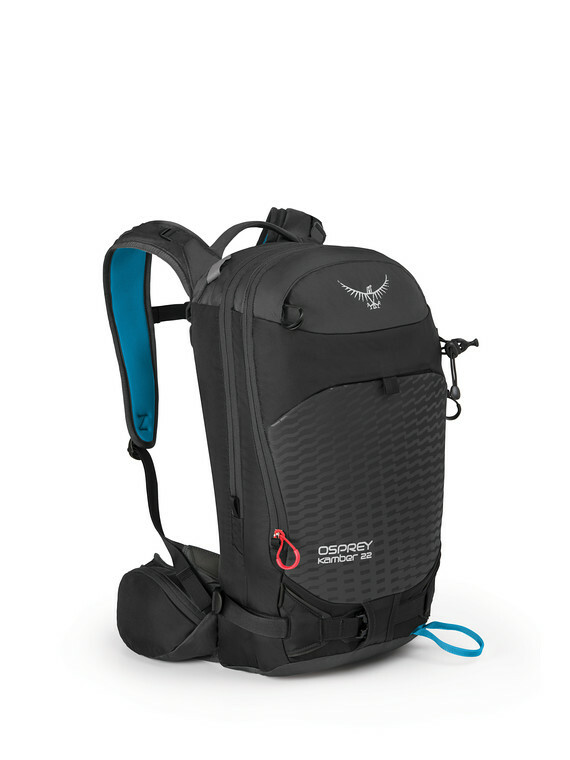 On long ascents deploy the stowable helmet carry when appropriate to stay cool, and if you get thirsty there’s an internal hydration sleeve and an insulated harness sleeve to keep your bite valve handy and ice-free. 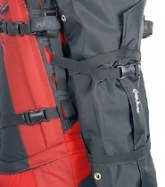 The Kresta 40 accommodates nearly every ski and snowboard carry option including; vertical, A-frame, diagonal and horizontal/vertical snowboard carry with smartly reinforced contact points to protect from sharp edges. 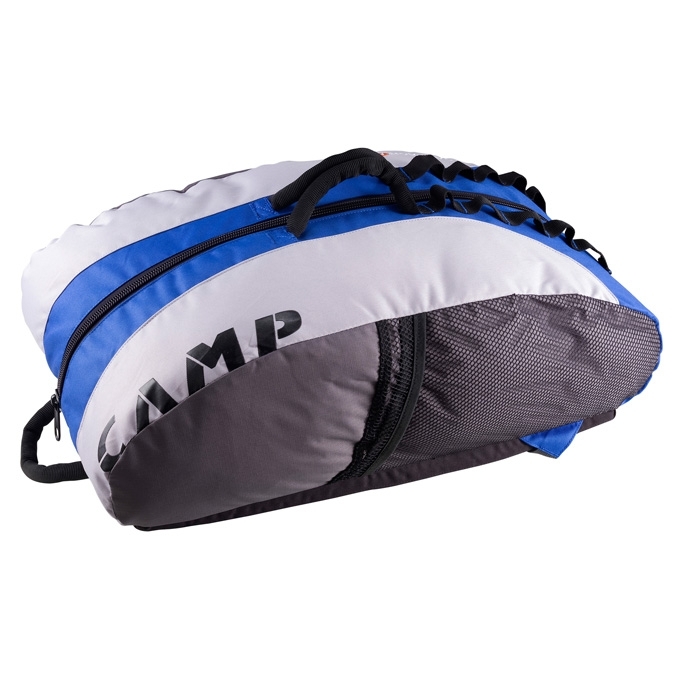 Other winter specific features like a scratch-free fleece-lined goggle pocket round out one of the most capable, durable, and functional technical backcountry snow packs we have ever made. 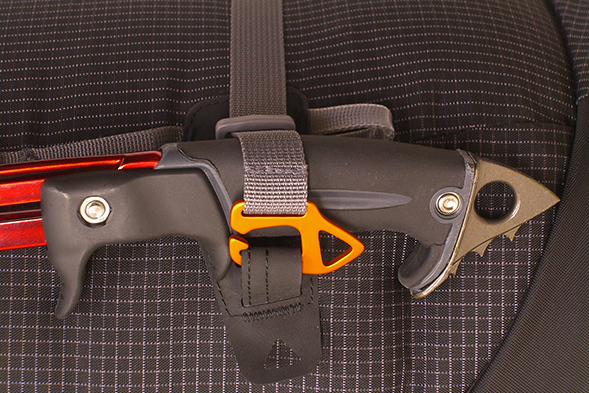 Technical ascents demand ice axes or tools, and two tool loops with bungee attachment provide secure attachment when they aren’t in use. 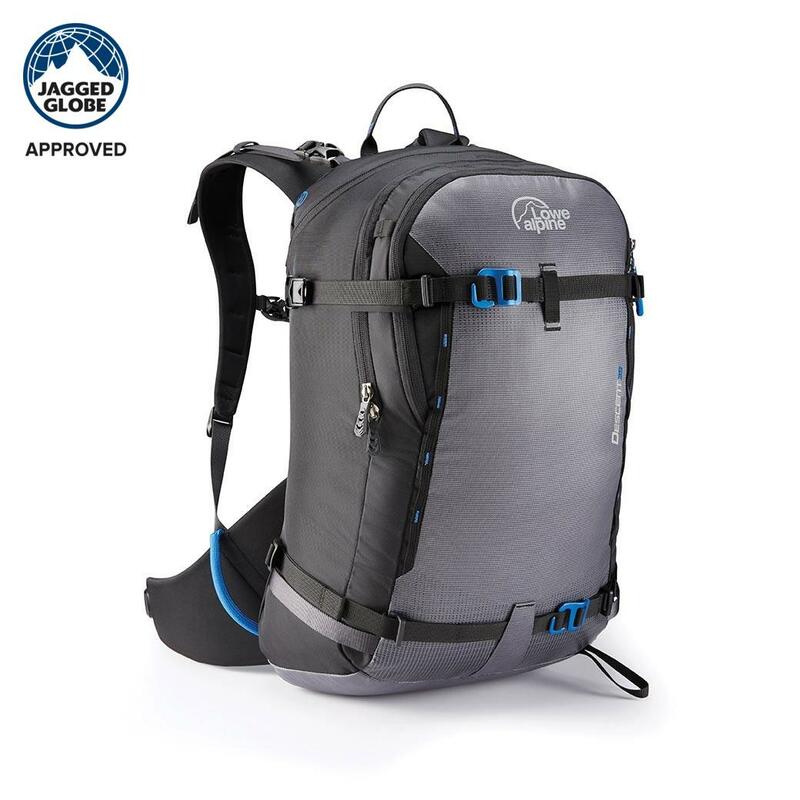 Under the dual-compartment and removable top-lid you’ll find a rope compression strap for glacier travel and sharp ridgelines. 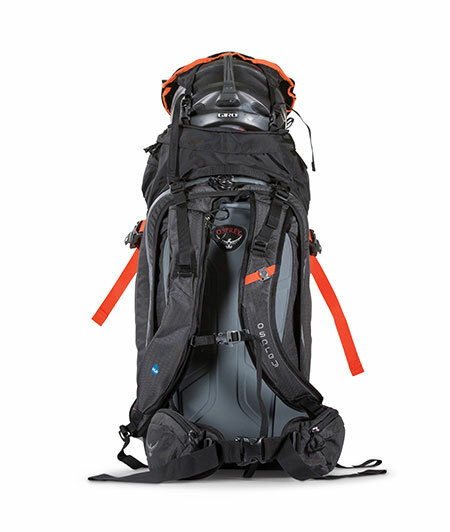 Even when loaded with up to 40lbs the LightWire™ suspension, padded hipbelt and contoured shoulder straps provide a comfortable carry even when breaking trail toward distant peaks. 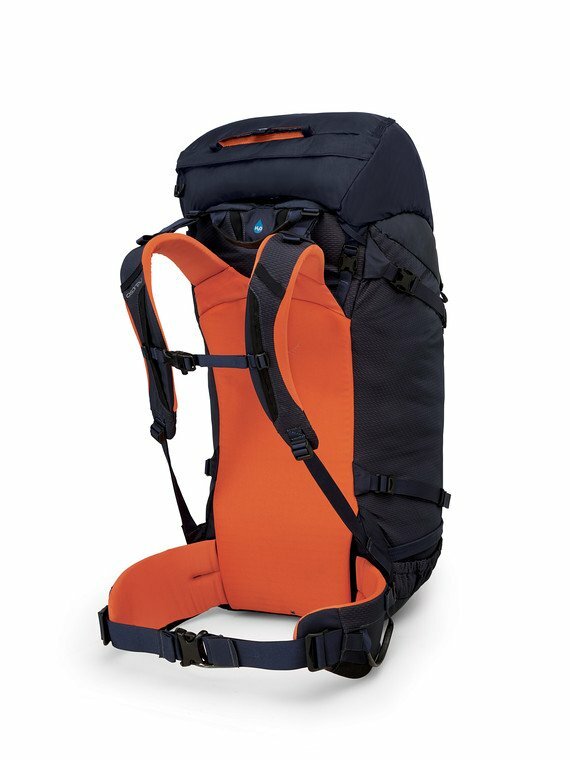 When you set your pack down to transition or for a snack, zippered backpanel access keeps the snow out of your gear and provides easy access to gear no matter where you stuffed it in this dual-access top loading machine. 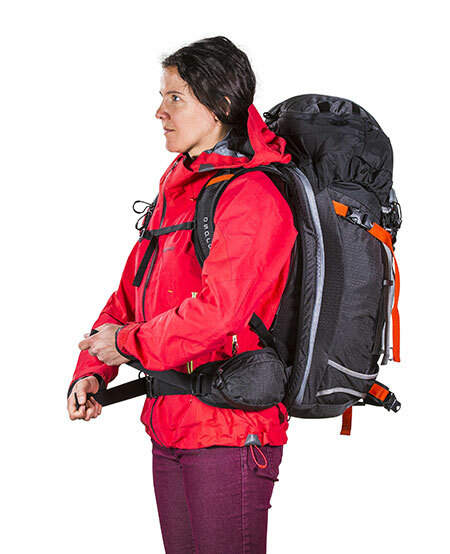 Designed for all backcountry enthusiasts, the women’s specific Kresta 30 includes multiple options for ski and snowboard attachment, fast and easy access to critical snow safety gear, and other winter-specific features. 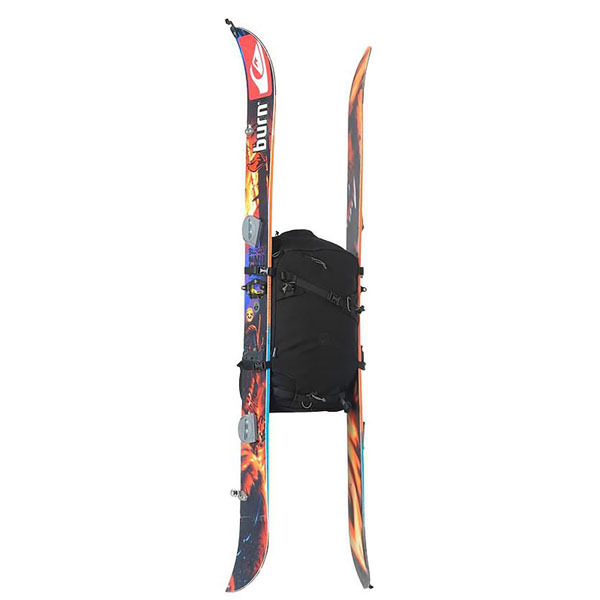 Designed for all backcountry enthusiasts, the Kresta 30 includes multiple options for ski and snowboard attachment, fast and easy access to critical snow safety gear, and other winter-specific features. 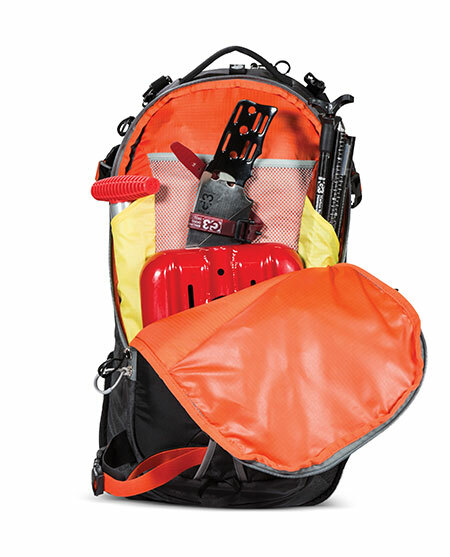 Safety is paramount in the backcountry and a large J-zip front pocket with multiple zippers keeps your shovel and probe ready at a moment’s notice. 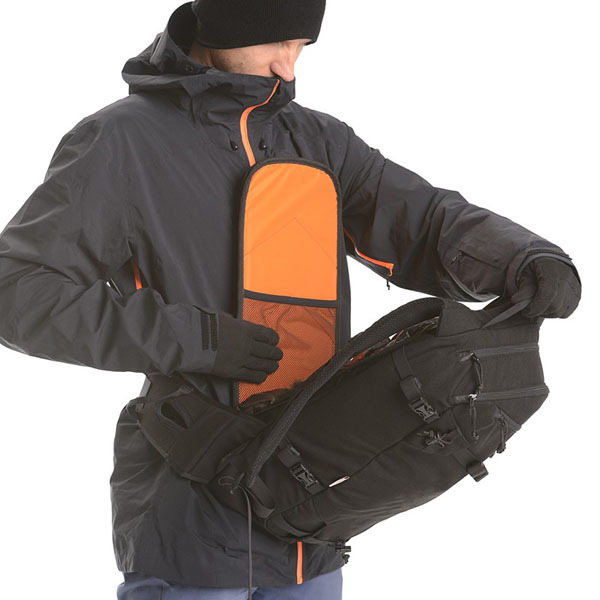 When you are on the move and need to transition or grab a snack, backpanel access through the snow-shedding Thermoformed backpanel keeps your gear dry and a zippered top panel provides additional and convenient access. 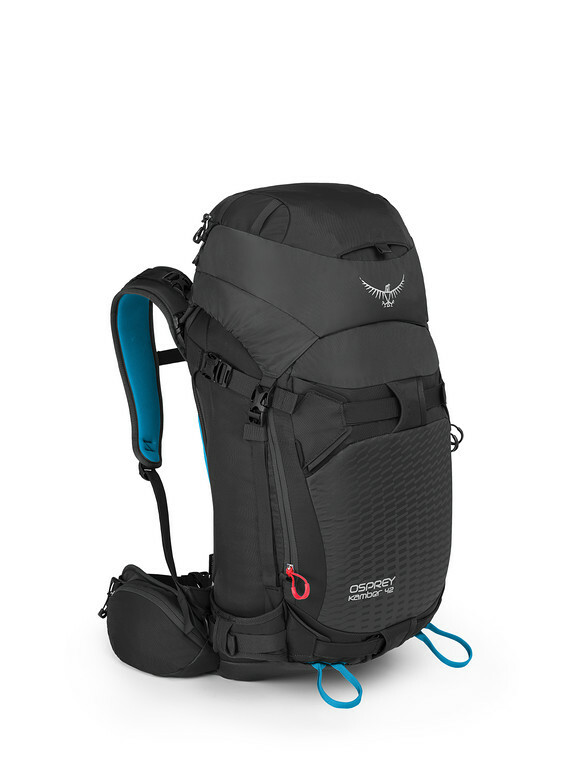 Even when loaded with up to 30lbs the LightWire™ suspension, padded hipbelt and contoured shoulder straps provide a comfortable carry even when breaking trail toward distant peaks. 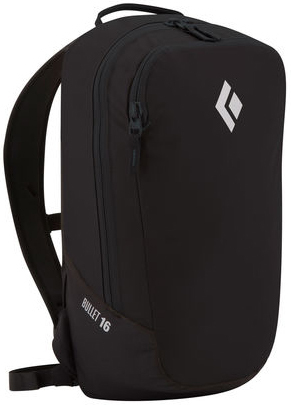 On the outside of the pack, you’ll find straps for a variety of ski and snowboard carrying options and an ice axe loop for technical ascents. 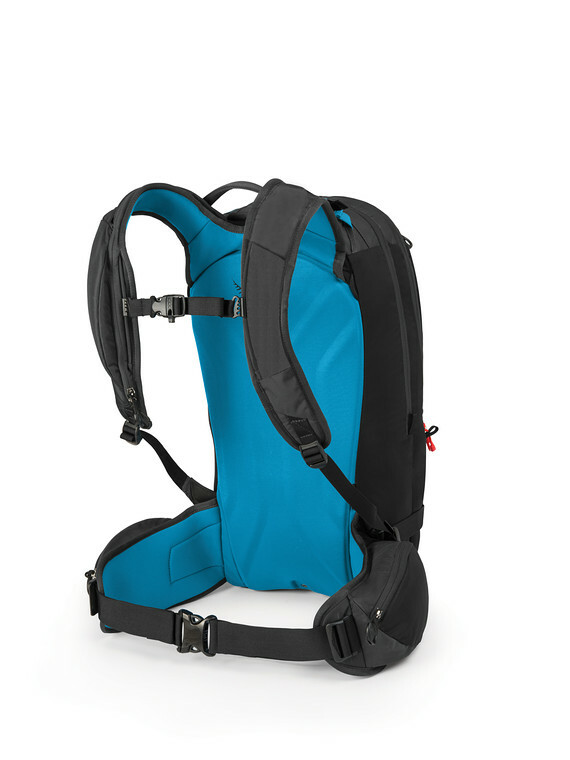 All contact points are reinforced to minimize wear from metal edges .A built-in back pocket for a hydration reservoir routes through the insulated shoulder harness to prevent freezing. 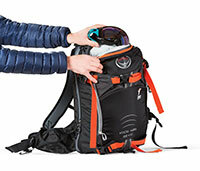 Other winter-specific features include a stowable helmet carry system, ice axe loop, and a scratch-free goggle pocket. 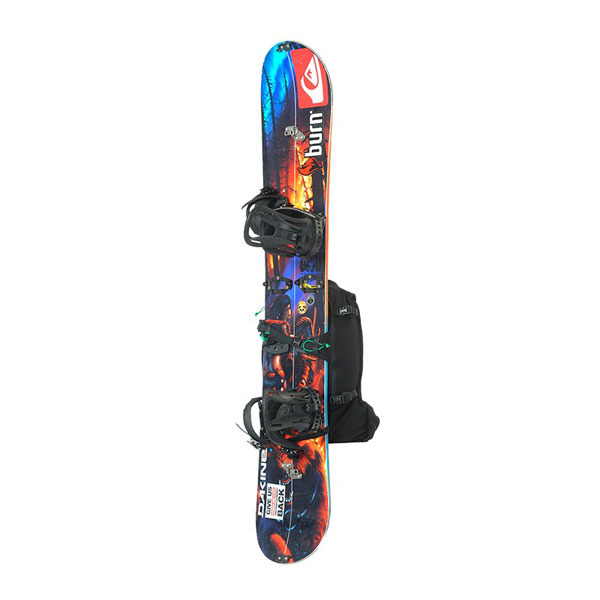 Glove friendly buckles and zippers poles let you keep your hands covered when you’re making the transition from skins to skis on the summit. 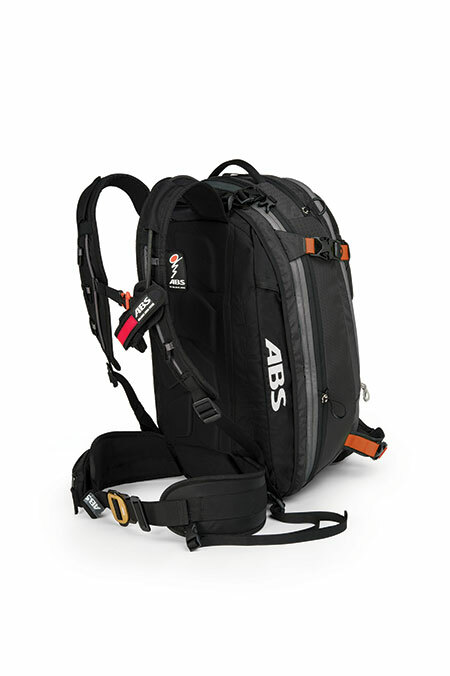 The Kode ABS® Compatible 42 is a dedicated backcountry snowplay pack featuring ABS® compatibility, wet/dry gear organization, insulated hydration compatibility and the exact features needed for ski or snowboard mountaineering, hut trips and ski patrol duties. 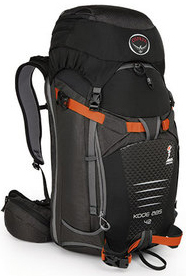 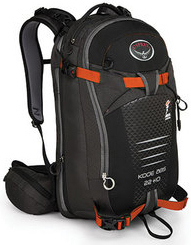 The Kode ABS® Compatible 22+10 is a dedicated backcountry snowplay pack featuring ABS® compatibility, wet/dry gear organization, insulated hydration compatibility and the exact features needed for backcountry riding endeavors. The Osprey Kamber Race 18 gives randonee racers and ultra-light weight alpine enthusiasts the features they require to move fast and transition quickly. 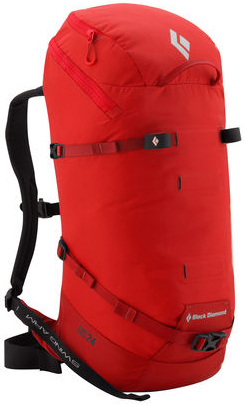 Light and fast barely begins to describe the challenges of randonee ski racing. 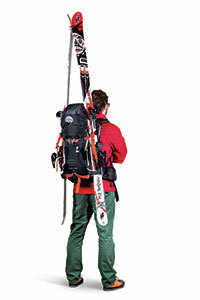 Imagine running through the high mountains on featherweight skis and boots. 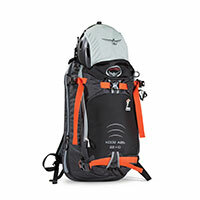 The sport requires a combination of mountaineering skills, athletic prowess, and specialized gear. 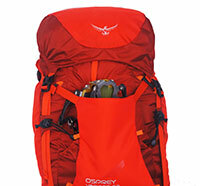 The Osprey Kamber Race 18 is an essential part of the gear. 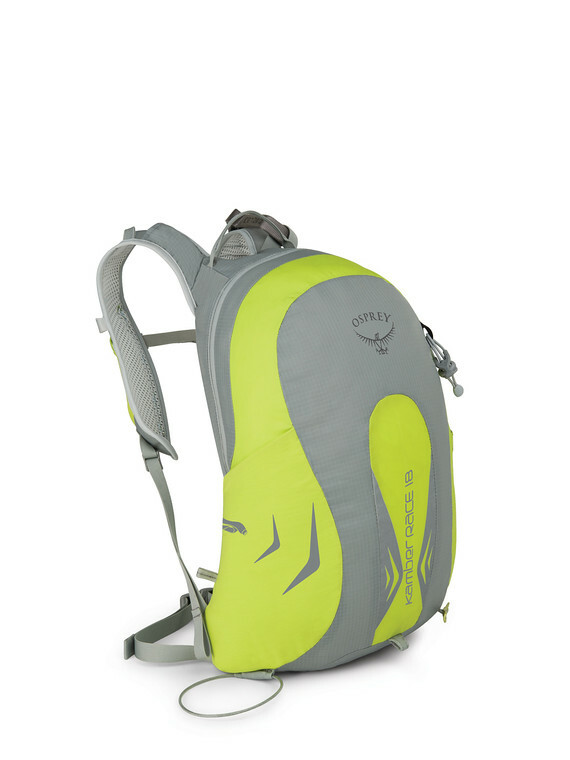 Each racer brings their fitness level and mountain savvy to the starting line. 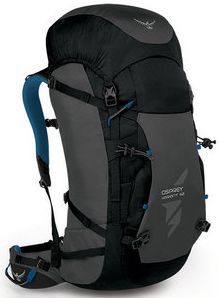 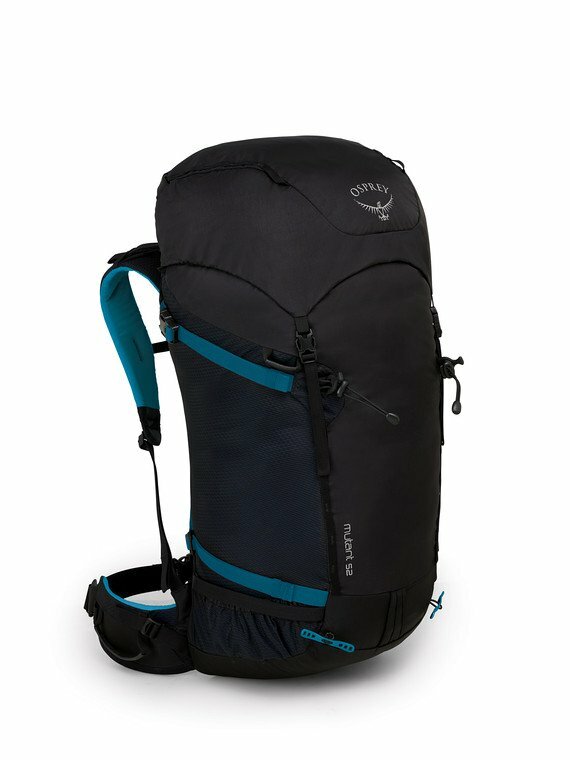 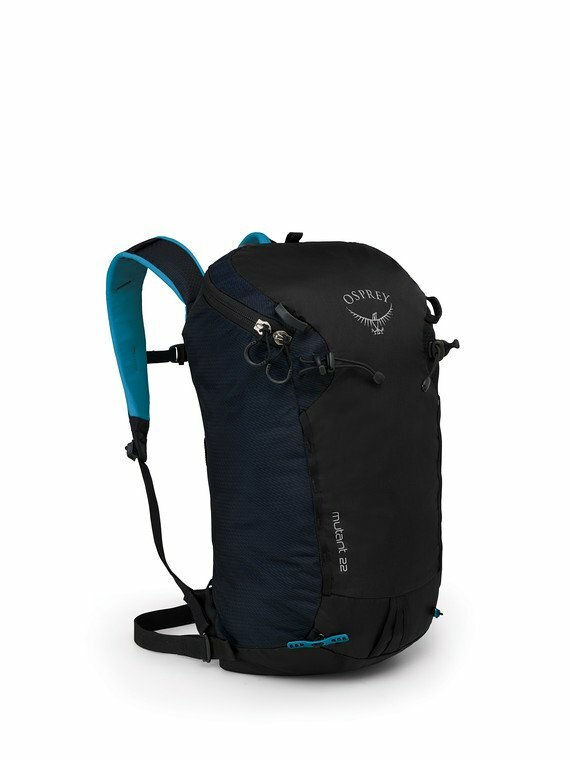 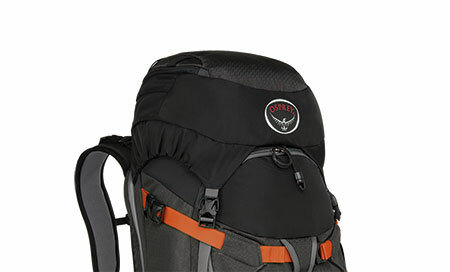 Osprey brings a pack carefully designed to shave time, especially in the transitions between up and downhill mode. 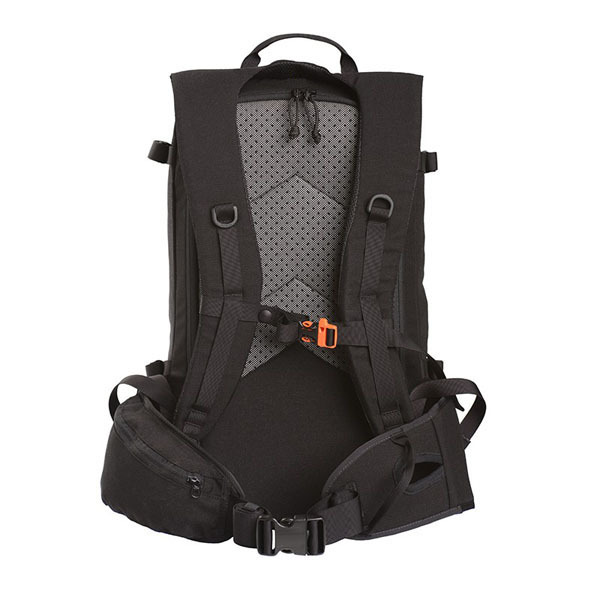 Everything about this pack is designed for speed, starting with a super-light suspension system consisting of a die cut foam/spacer mesh backpanel, a 15-millimeter webbing hipbelt, and a removable and adjustable sternum strap. 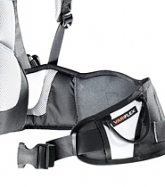 The BioStretch™ body wrap shoulder harness system has two front stretch mesh pockets for energy bars, GU packets, and other race-ready snacks. 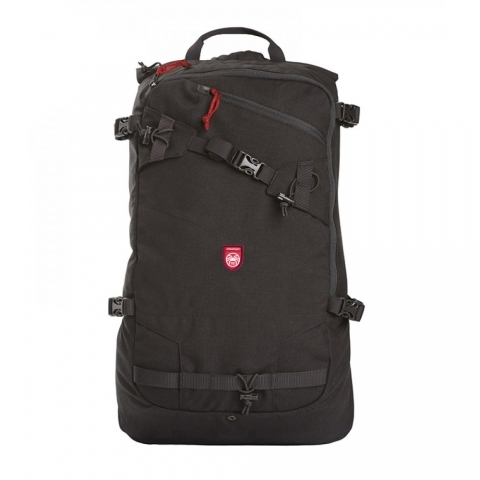 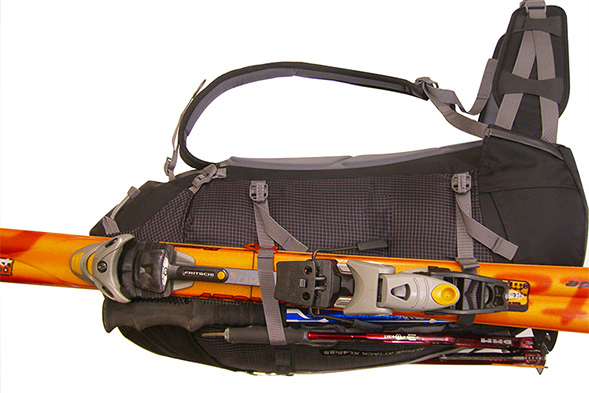 The diagonal ski carry system allows you to access and store skis without removing the pack. 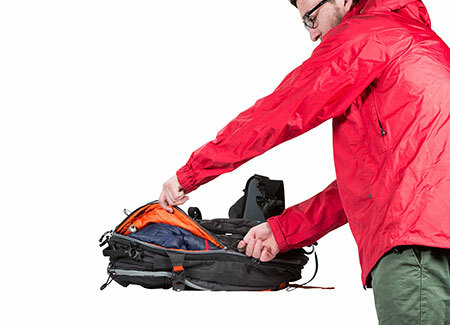 One side stretch pocket is designed for quick storage and access to skins. 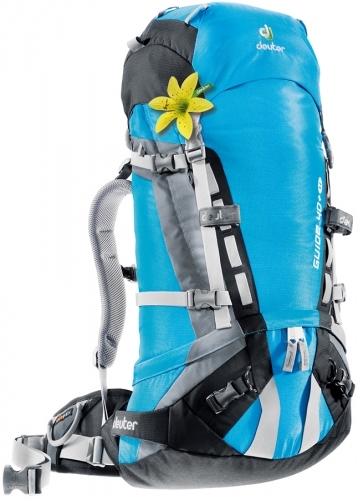 The other side pocket holds crampons equally close at hand. 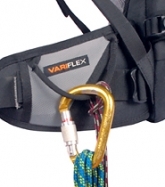 A Single ToolLock™ ice tool attachment with gives you instant hands-on/hands-off access to your ax should conditions dictate a pick is necessary. 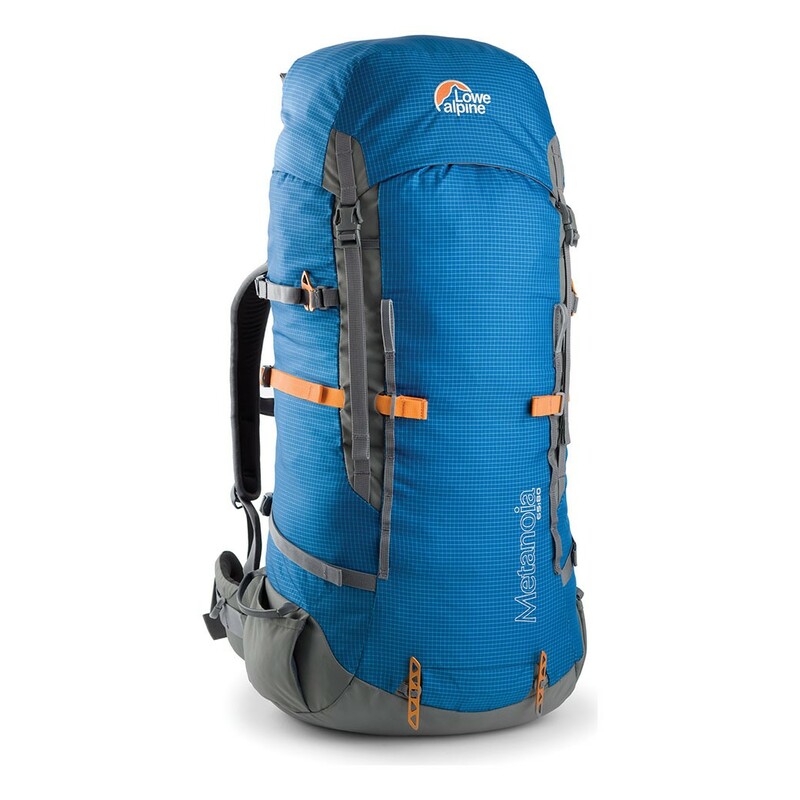 The Metanoia is an expedition climbing pack designed for longer multi-day ascents in the Alps, the Tetons and the greater ranges. Named after Lowe Alpine founder Jeff Lowe's famous un-repeated route on the Eiger's Nordwand, the Metanoia is a celebration of Jeff's style of climbing. 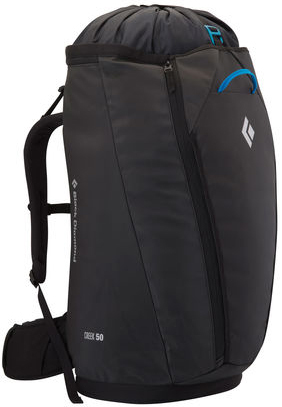 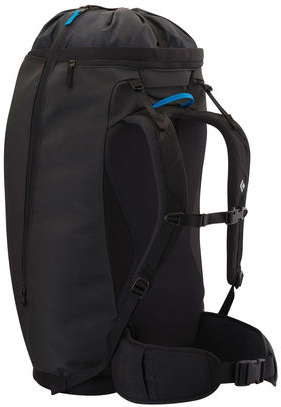 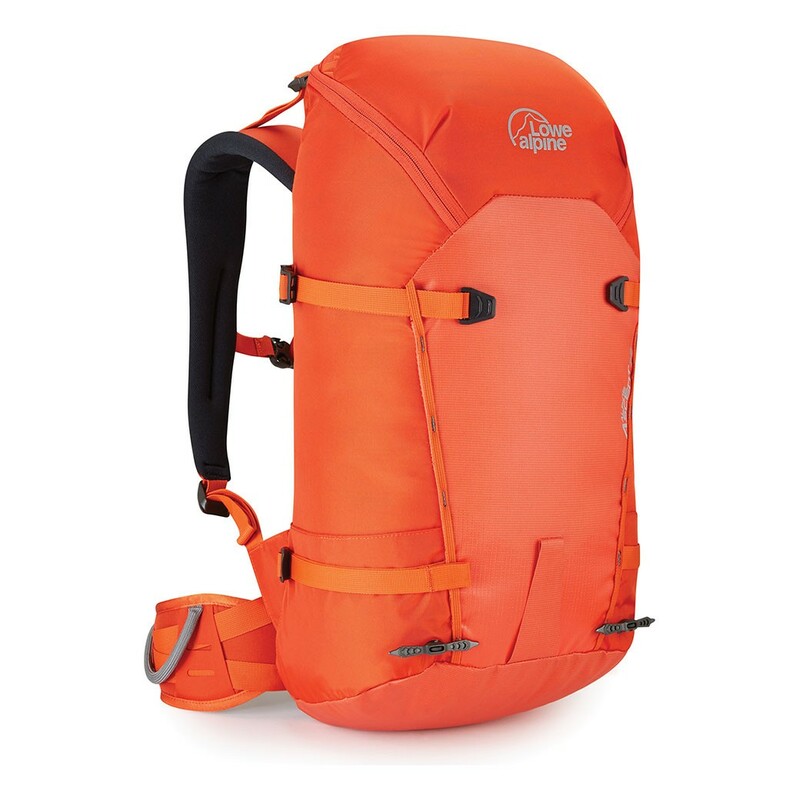 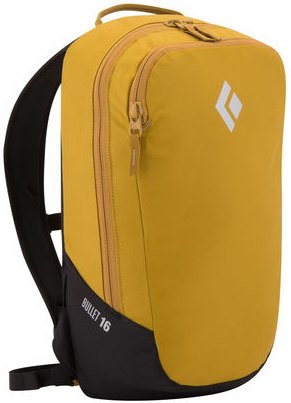 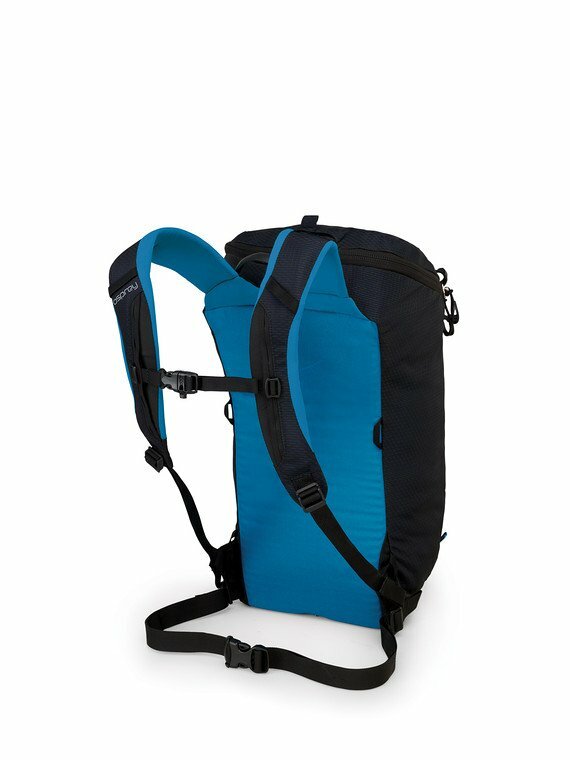 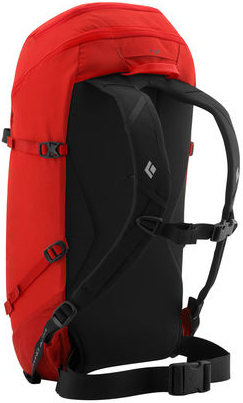 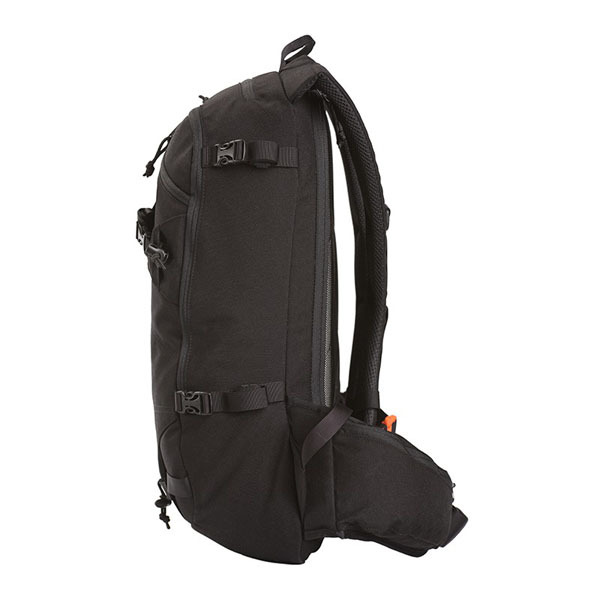 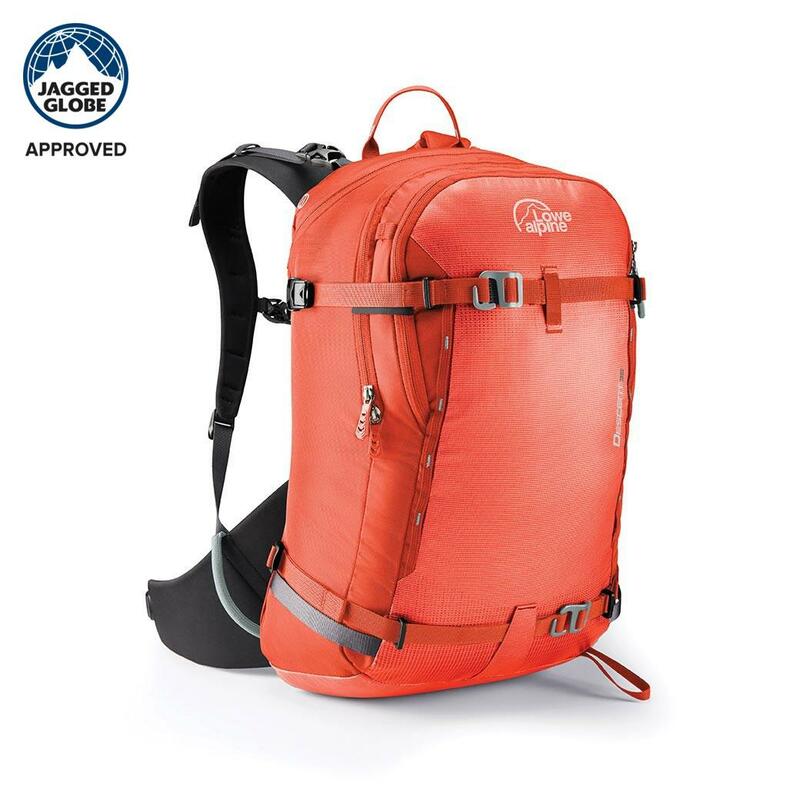 It is lightweight, strong, and packed with the unique features such as the double HeadLocker axe carrying system and the WebCatcher system (for secure fastening of poles and skis to the pack). 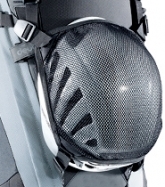 Our Trishield fabric coating is a lightweight yet ultra-tough dual layer TriShield® coating. 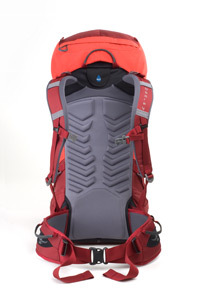 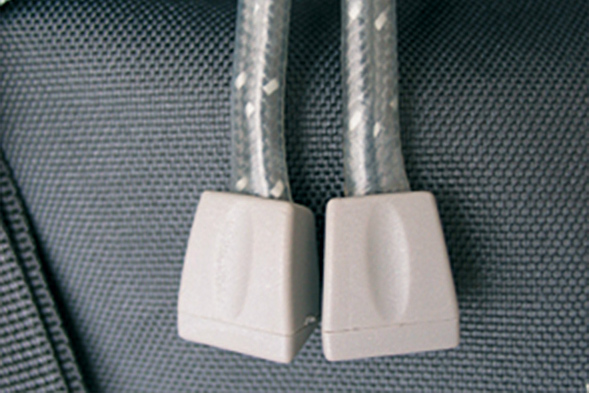 The Pu (HydraShield) is bonded to the inside face of the fabric reducing water absorbency significantly. 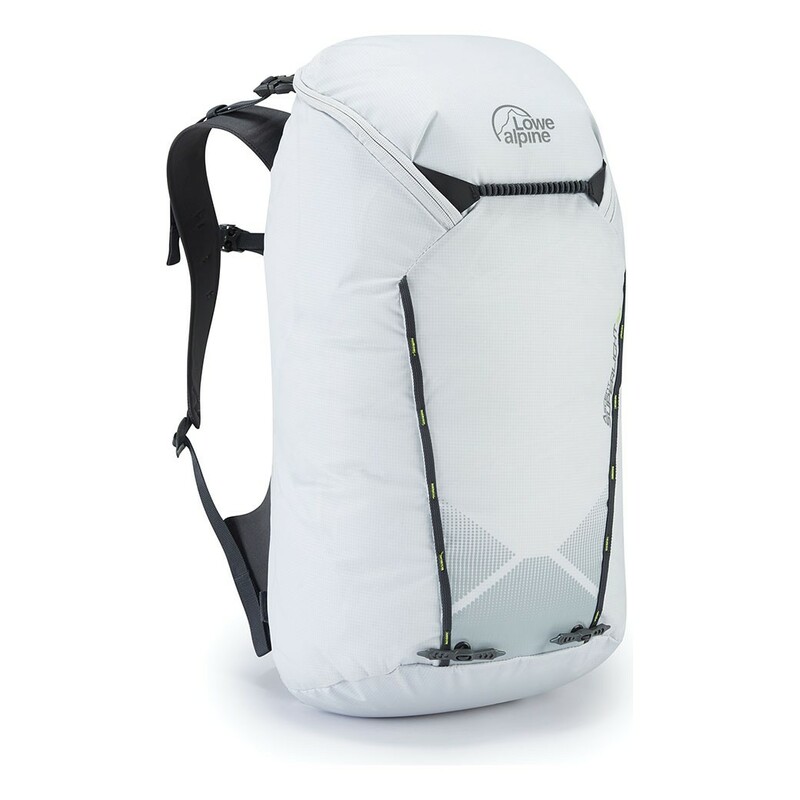 We have added a very high abrasion resistant TPU coating to the outside face which increases abrasion resistance by 13 times. 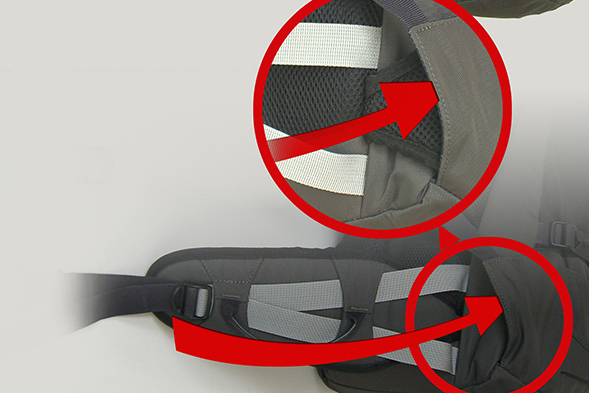 This combination delivers a fabric that is lightweight, won't absorb water and will stand up to abuse in extreme conditions. 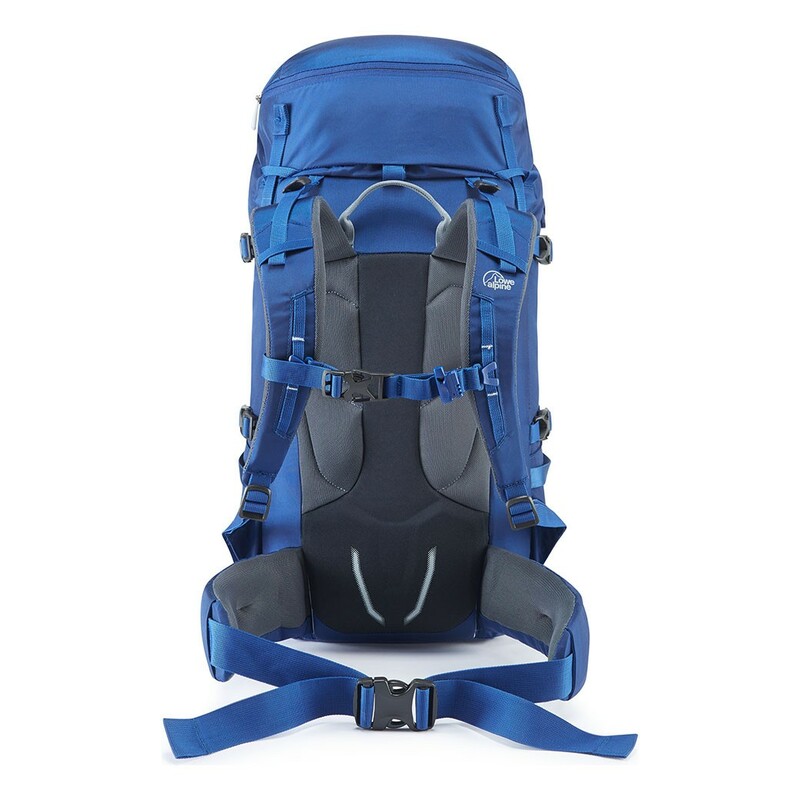 The Mountain Ascent ND 38:48 is the mountaineers pack of choice, comfortable and fully-featured, it is ideal for multi-discipline mountain use and hut-to-hut travel. 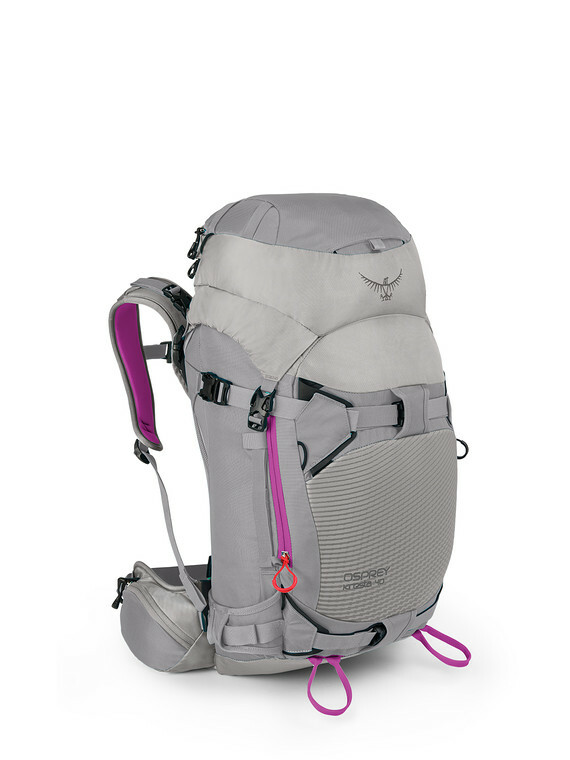 The Mountain Ascent ND 38:48 offers the refined geometry of our carefully designed women’s back systems, making it a super comfortable and secure carry. 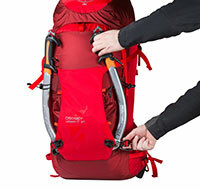 The winter mountaineer will find this backpack fully equipped and ready, with our unique double HeadLocker ice axe attachment system, gear loops and ice screw krab slots on the hip belt. 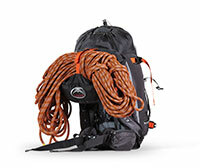 An under-lid rope and crampon strap keeps all your winter kit securely stashed yet quickly accessible. 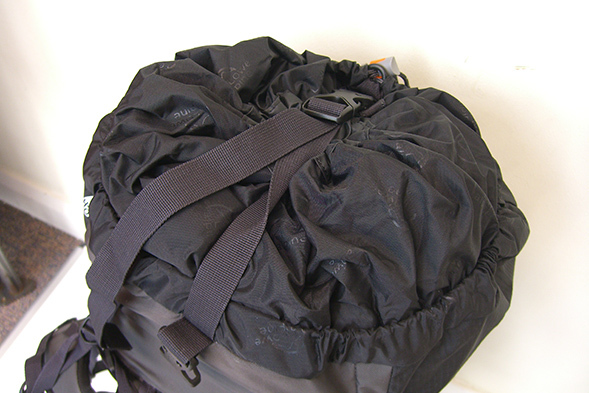 Meanwhile, when hut to hutting, a lower entry zip allows you to keep your overnight kit and climbing gear separate. 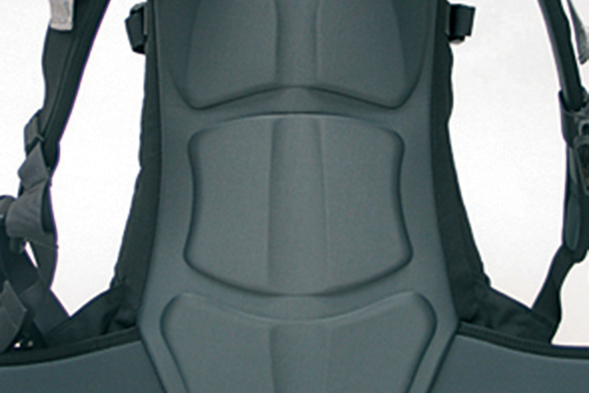 Our Trishield fabric coating is a lightweight yet ultra-tough dual layer TriShield® coating. 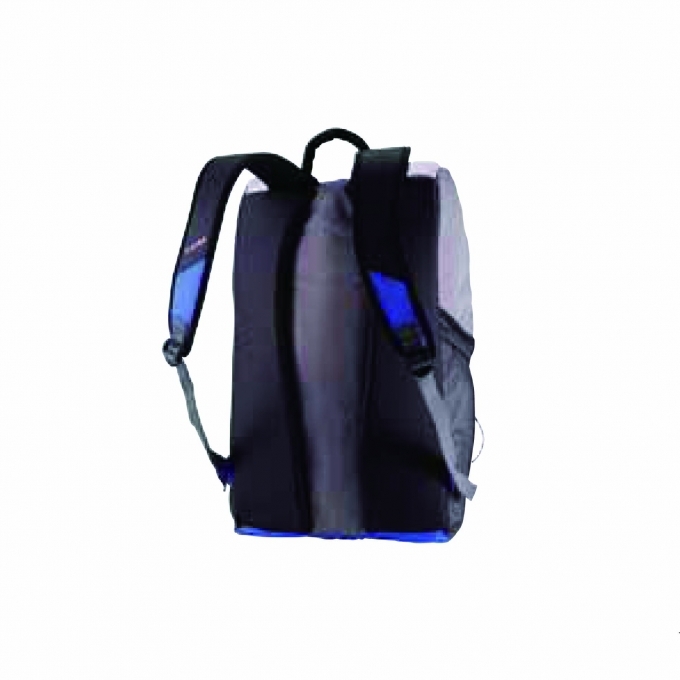 The Pu (HydraShield) is bonded to the inside face of the fabric reducing water absorbency significantly. 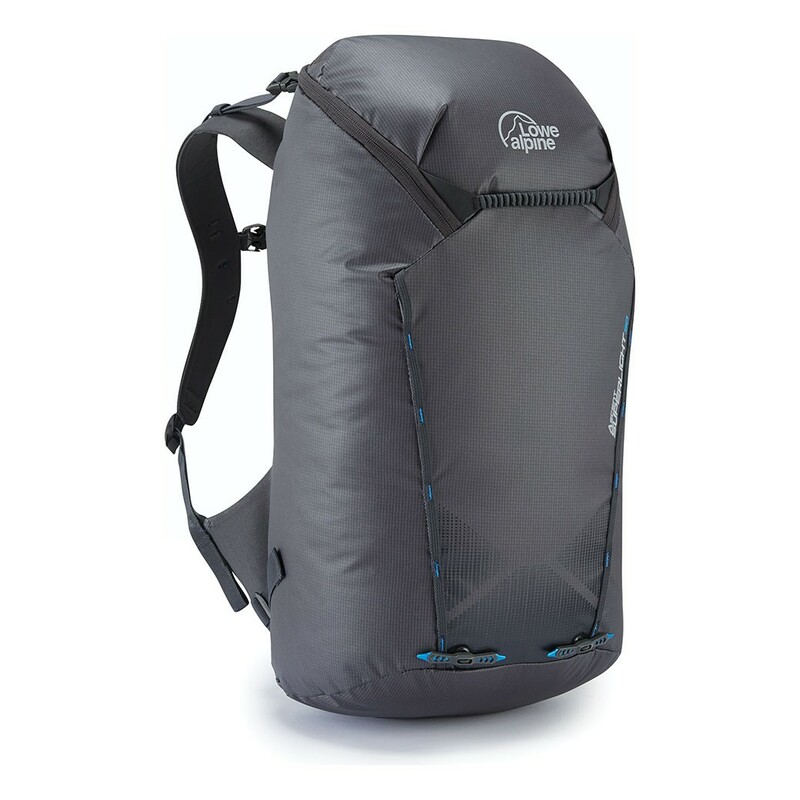 We have then added a very high abrasion resistant TPU coating to the outside face, this increases abrasion resistance by 13 times. 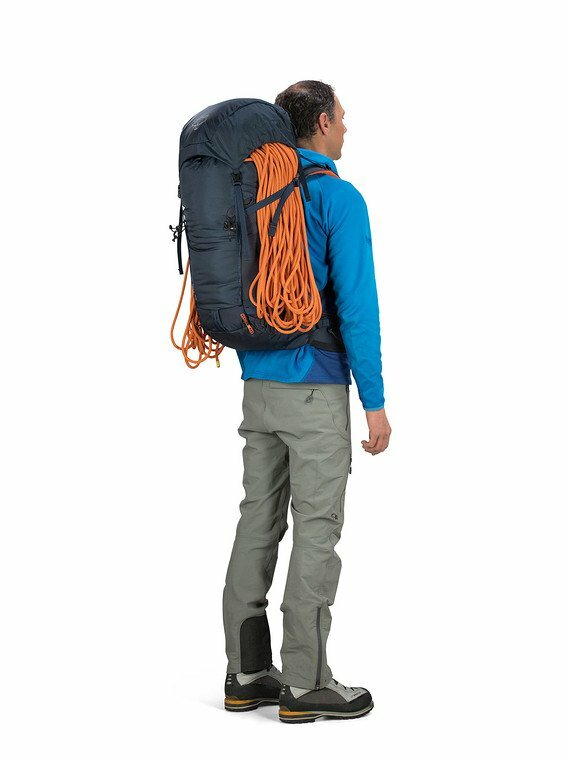 This combination delivers a fabric that is lightweight, won't absorb water and will stand up to abuse in extreme conditions. 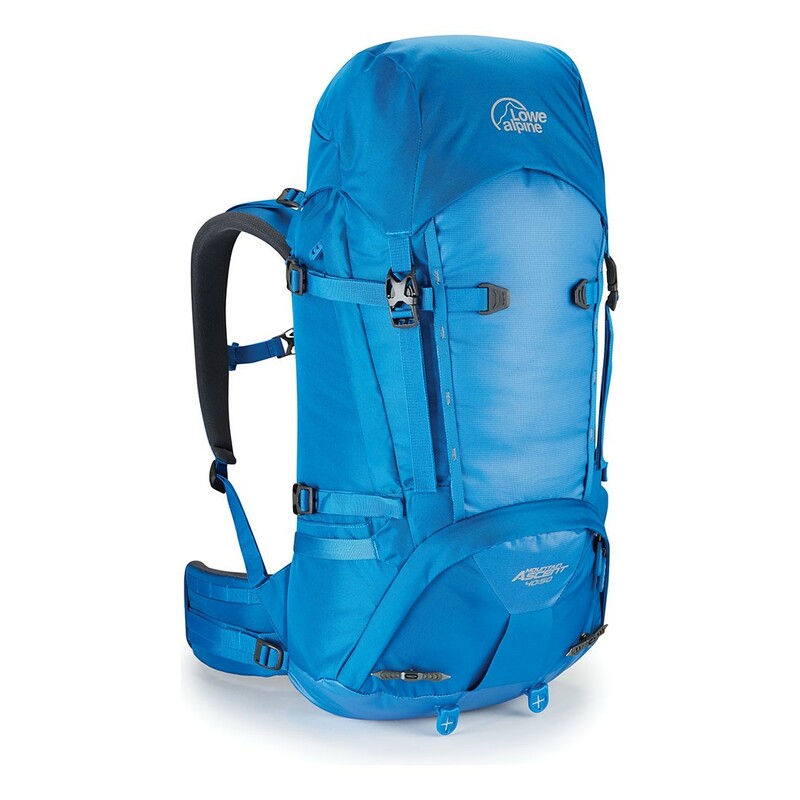 The Alpine Ascent 40:50 is a clean and lightweight pack, your ideal companion on high alpine peaks, winter climbs and summer rock routes. 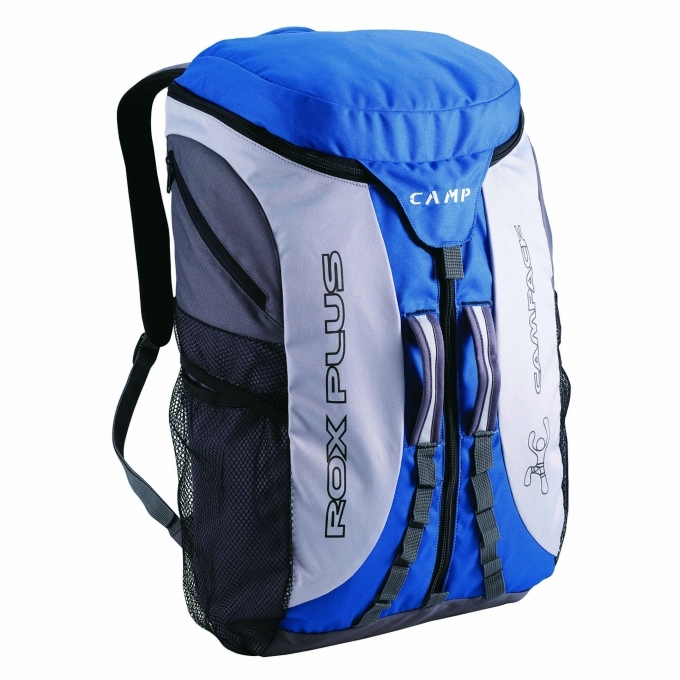 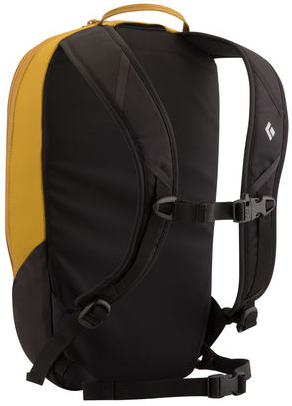 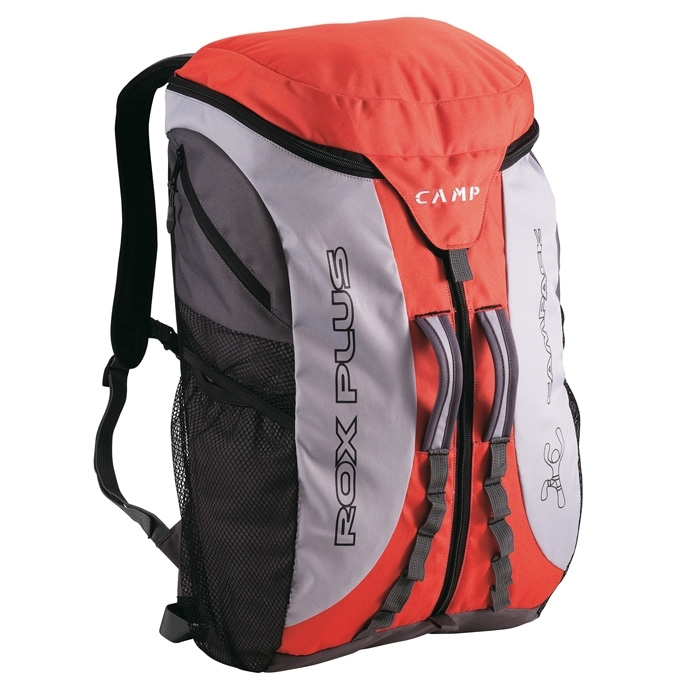 Harness compatible with gear loops, compression straps and an under-lid rope strap, this lightweight top-loading pack is perfect for long summer rock days high in the mountains. 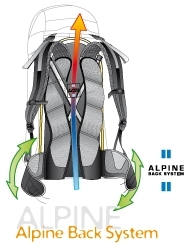 Ever versatile however, the Alpine ascent is also fully equipped to take on snow and ice with our unique double HeadLocker ice axe attachment system, crampon strap, mitt-friendly winter buckles and ice screw krab slots. 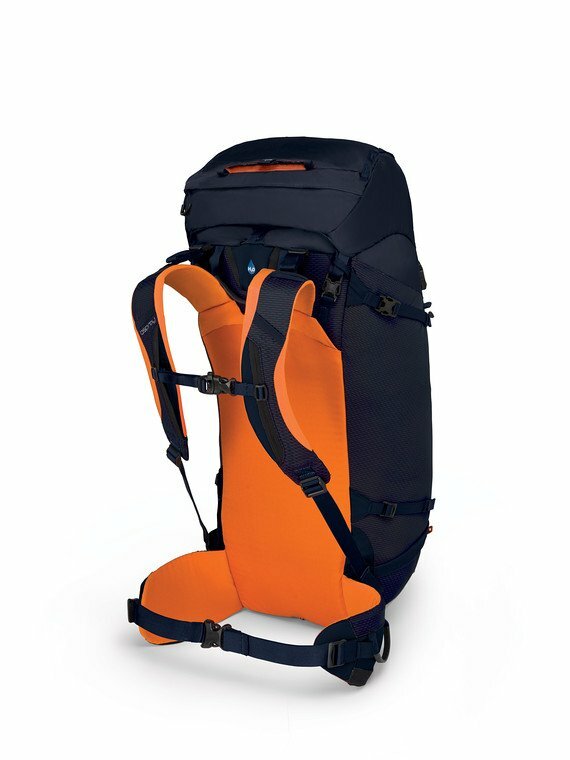 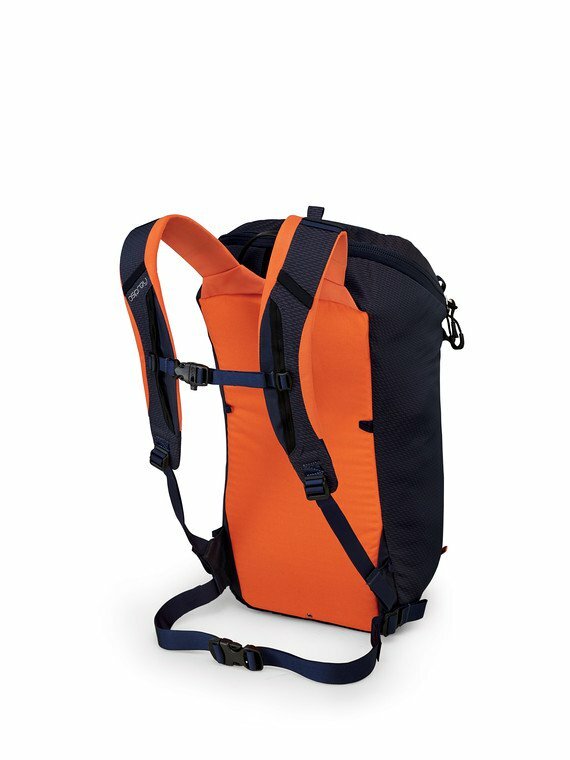 Expandable to 50 litres, with room for everything plus that extra protection layer, this is the pack for when you don't want to be limited by space. 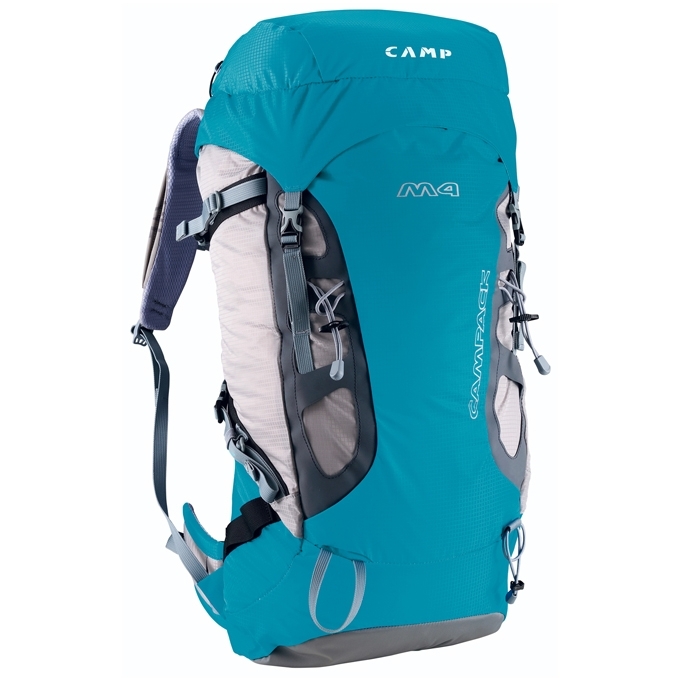 This lightweight top-loading 32-litre pack is an ideal size to fit in everything you'll need for day out climbing. 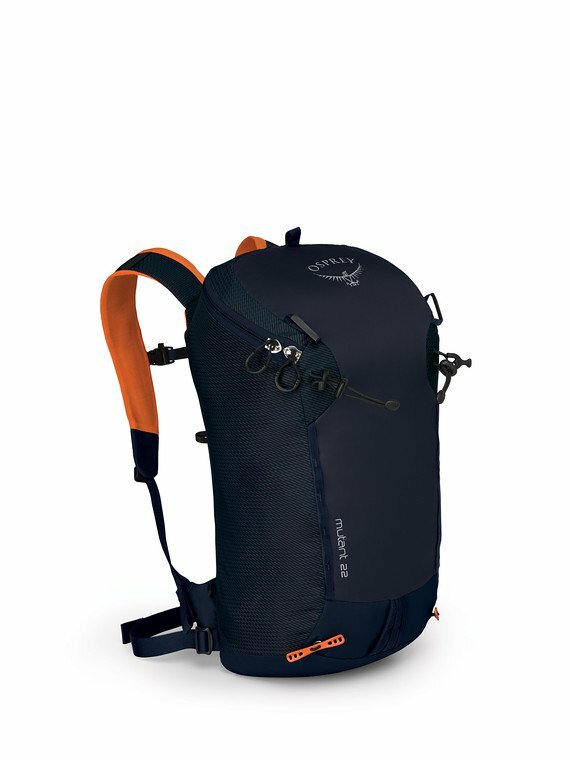 It features gear loops, a top tensioner rope holder and harness compatibility, making it brilliant for long summer rock climbs high in the mountains. 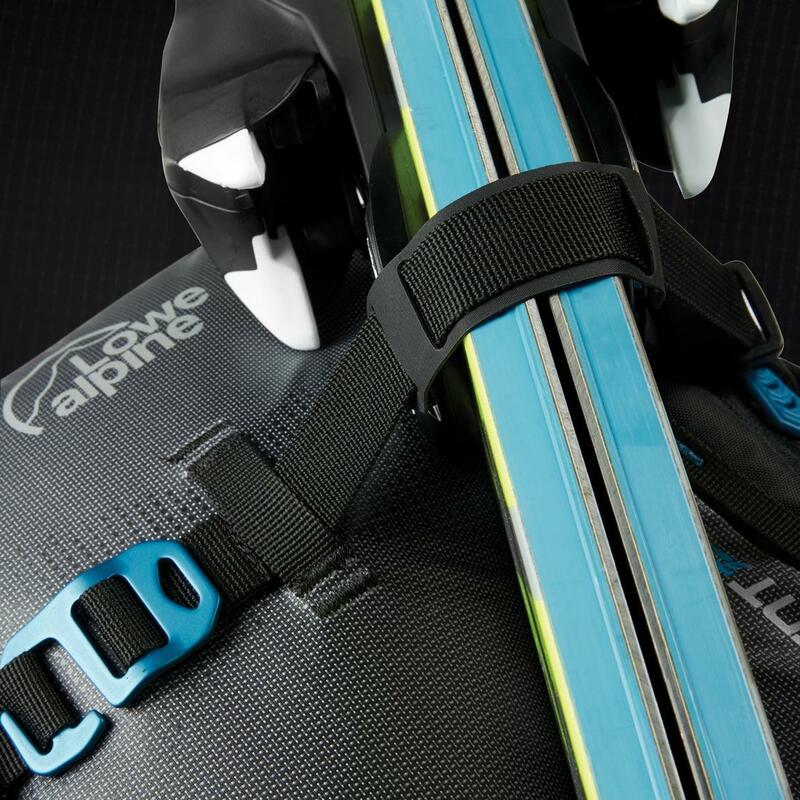 Ever versatile however, the Alpine Ascent 32 is also fully equipped to take on snow and ice with our unique double HeadLocker ice axe attachment system, mitt-friendly winter buckles and ice screw krab slots. The Alpine Ascent 25 is a clean-line and lightweight pack, the perfect companion for high alpine peaks, winter climbs and summer rock routes. 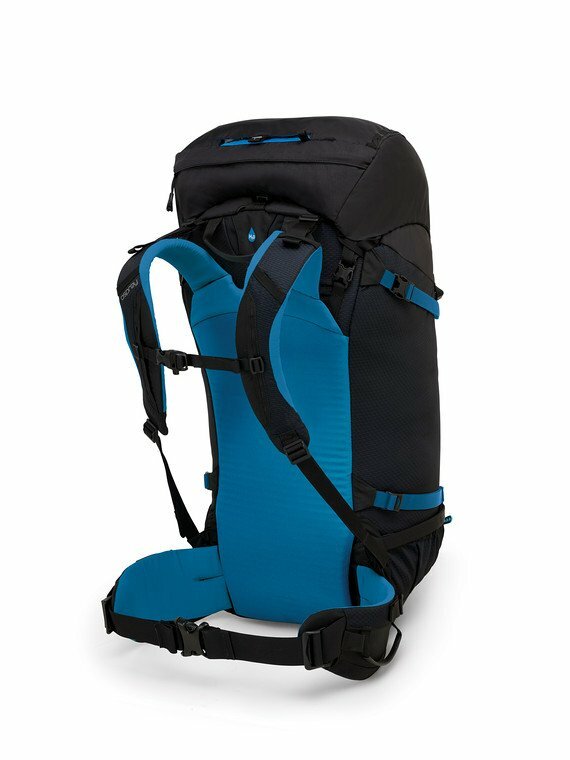 This lightweight top-loading 25-litre pack is ideal for when you want to travel a bit lighter and faster with just essentials. 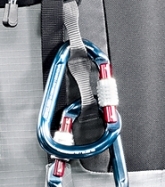 It features gear loops, a top tensioner rope holder and harness compatibility, making it brilliant for long summer rock climbs high in the mountains. 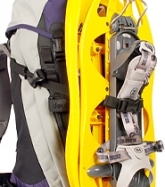 Ever versatile however, the Alpine Ascent 25 is also fully equipped to take on snow and ice with our unique double HeadLocker ice axe attachment system, mitt-friendly winter buckles and ice screw krab slots. 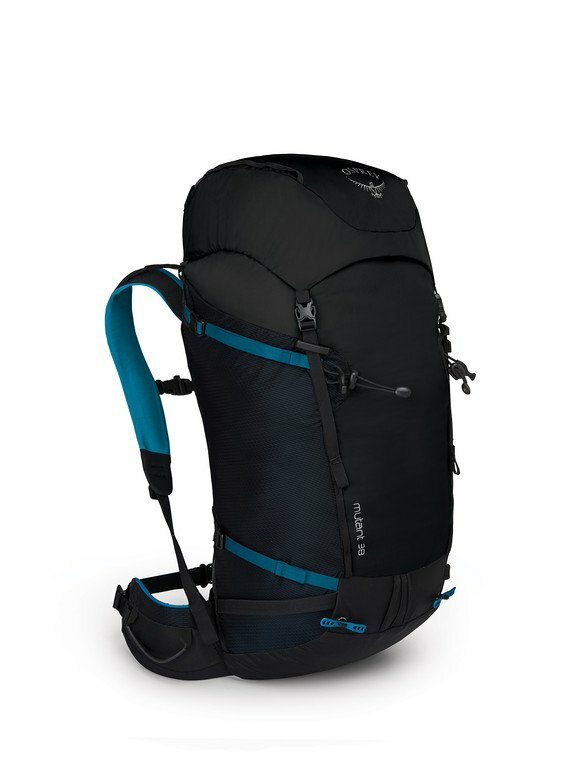 The Alpine Ascent ND 38:48 is clean and lightweight, the ideal companion on high alpine peaks, winter climbs and summer rock routes. 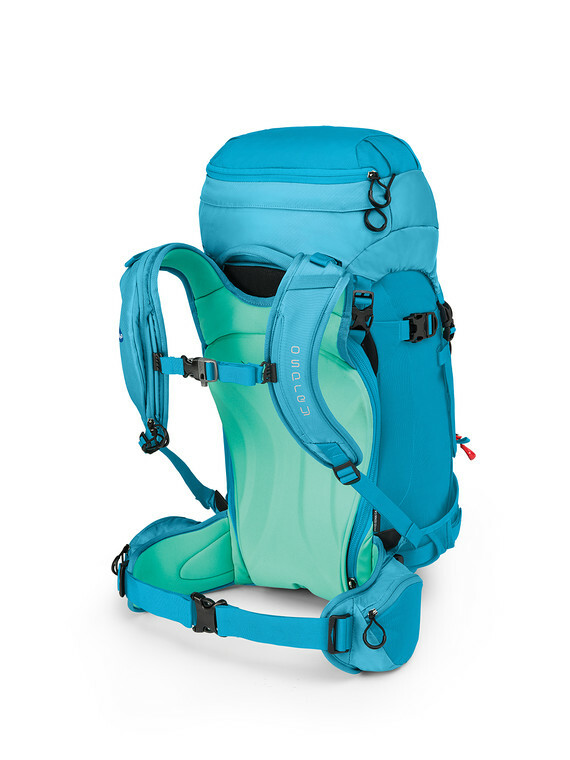 The Alpine Ascent ND 38:48 offers the refined geometry of our carefully designed women’s back systems, meaning it's super comfortable and a secure carry. 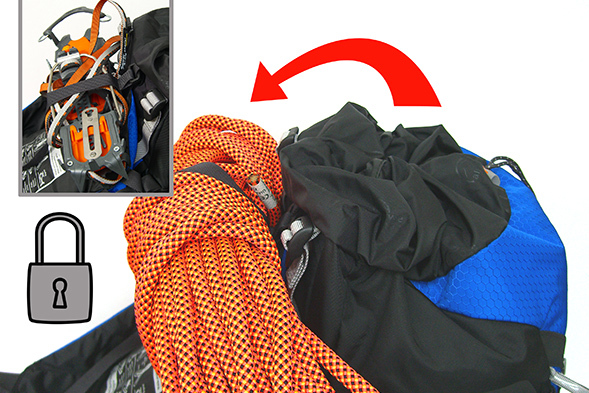 This lightweight top-loading pack is brilliant for long summer rock climbs high in the mountains, designed with gear loops, an under-lid rope strap and harness compatibility. 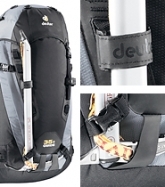 Ever versatile, the Alpine Ascent ND 38:48 is also fully equipped to take on snow and ice with our unique double HeadLocker ice axe attachment system, crampon strap, mitt-friendly winter buckles and ice screw krab slots. 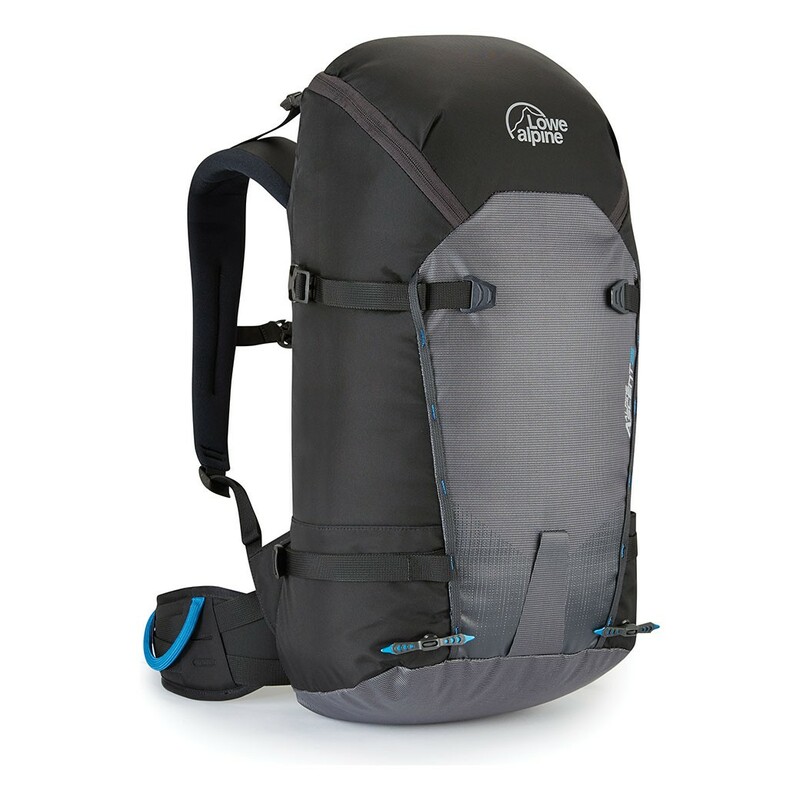 Expandable to 48 litres, with room for everything you'll need, plus that extra protection layer, this is the pack for when you don't want to be limited by space. 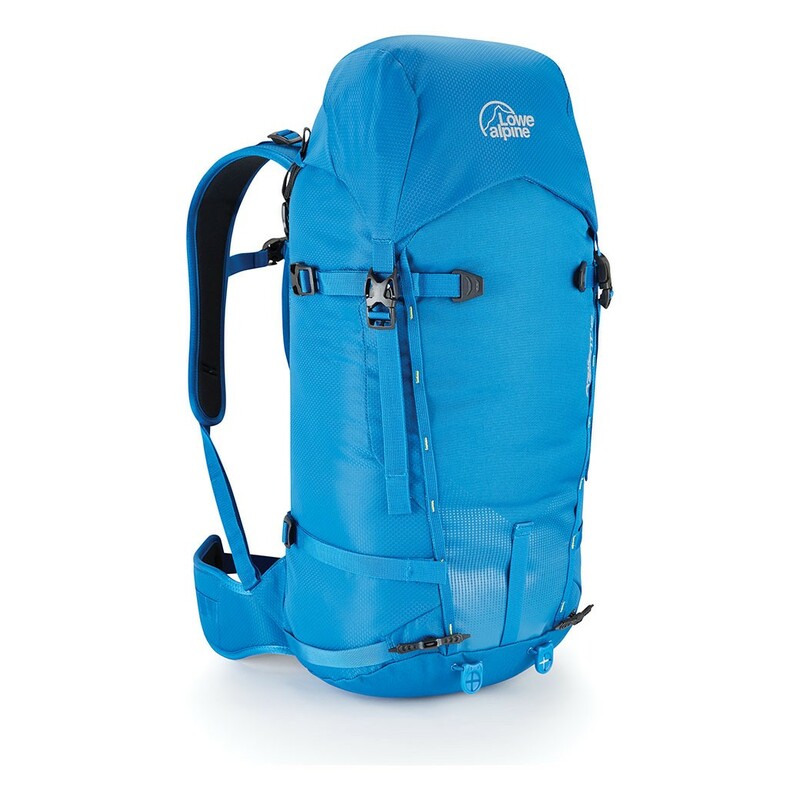 The Alpine Ascent ND 28 is clean and lightweight, the ideal companion on high alpine peaks, winter climbs and summer rock routes. 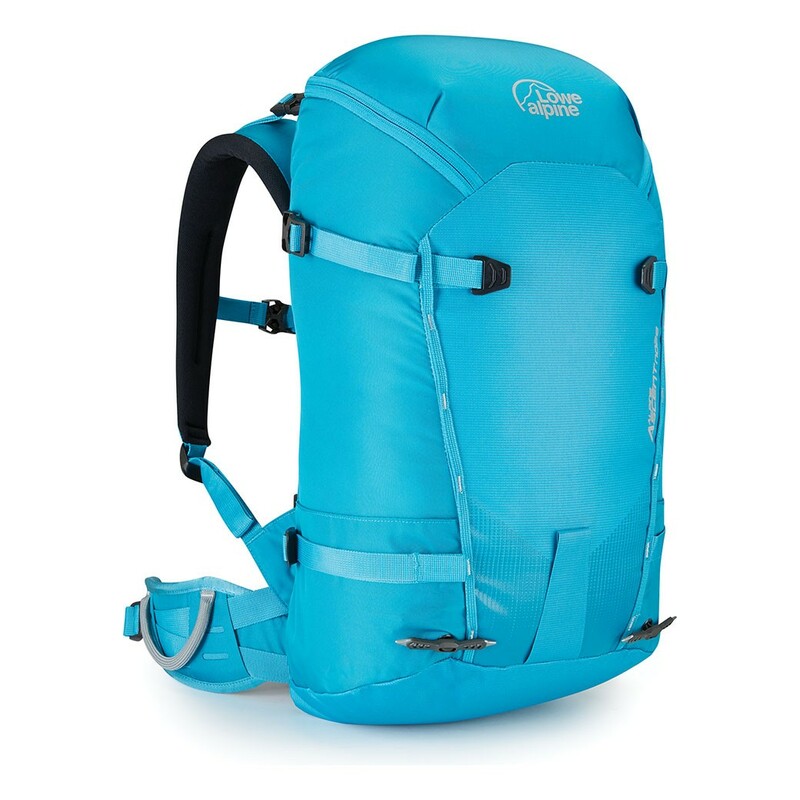 The Alpine Ascent ND 28 offers you the refined geometry of our carefully designed women’s back systems, making super comfortable and a secure carry. 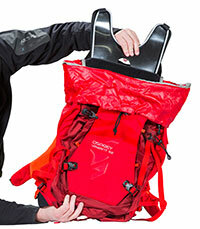 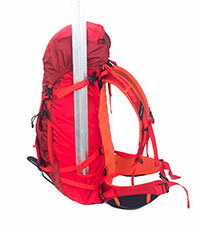 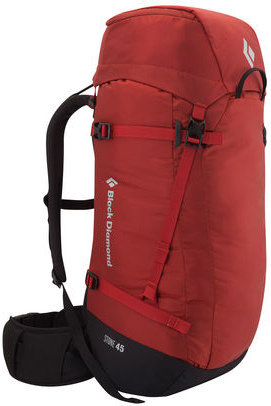 This lightweight, top-loading 28 litre pack is an ideal size to carry the kit you'll need for day out climbing. 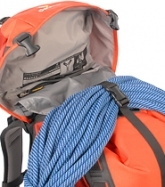 It features gear loops, a top tensioner rope holder and harness compatibility, making it brilliant for long summer rock climbs high in the mountains. 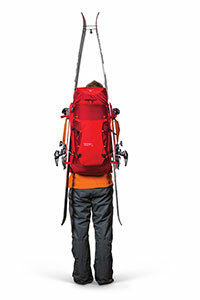 Ever versatile however, the Alpine Ascent 28 is also fully equipped to take on snow and ice with our unique double HeadLocker ice axe attachment system, mitt-friendly winter buckles and ice screw krab slots. The Ascent Superlight 30 is the pack of choice for the modern alpinist, the ultimate lightweight backpack for fast and light ascents. 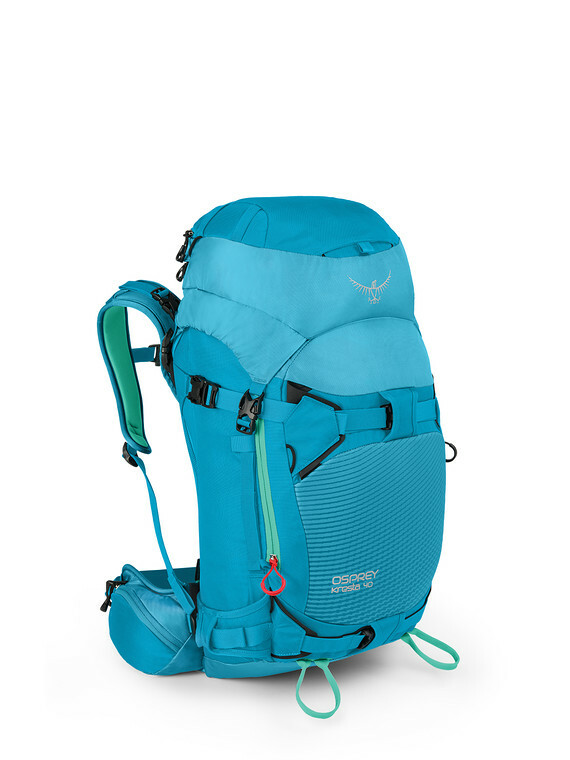 We've done everything to make this pack super-lightweight, trimming it down to the essentials you'll need for fast and light alpine ascents. 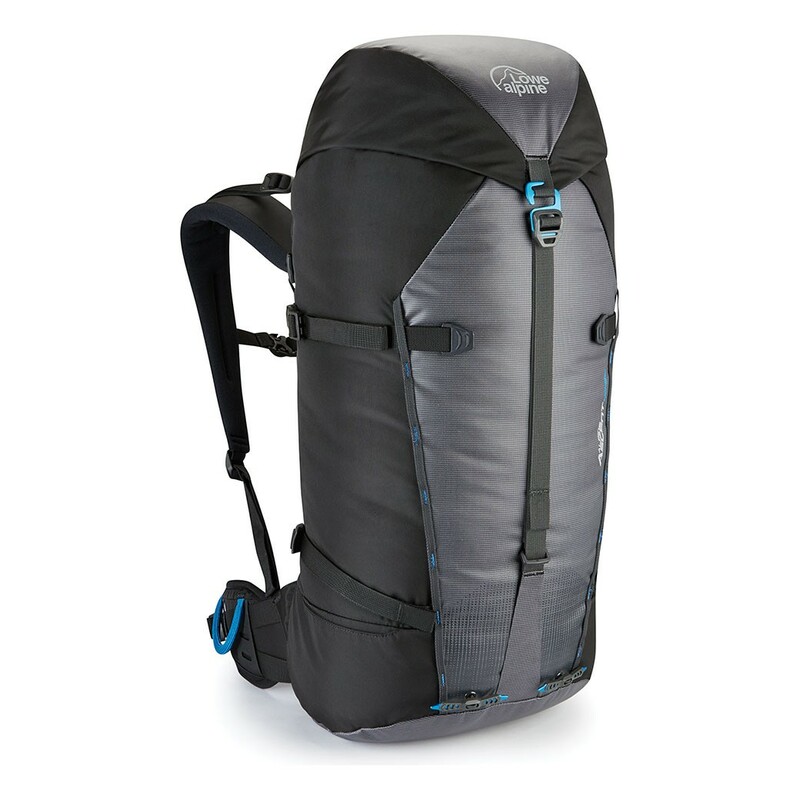 A zip entry system gives the Ascent Superlight an incredibly clean and streamlined look. 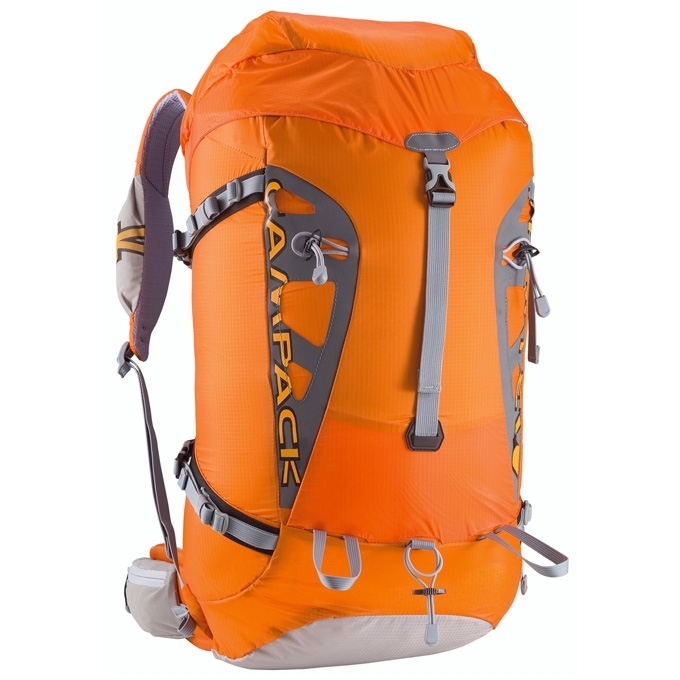 However technical capabilities are not compromised, and this pack boasts features such as a double HeadLocker ice axe attachment system with an elasticated top retainer, a top tensioning rope holder and mitt-friendly winter buckles. 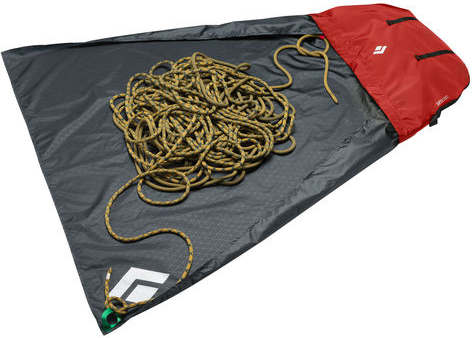 A removable frame even has a fold out bivvy mat, meaning you'll be fully equipped and ready for any scenario in the mountains! 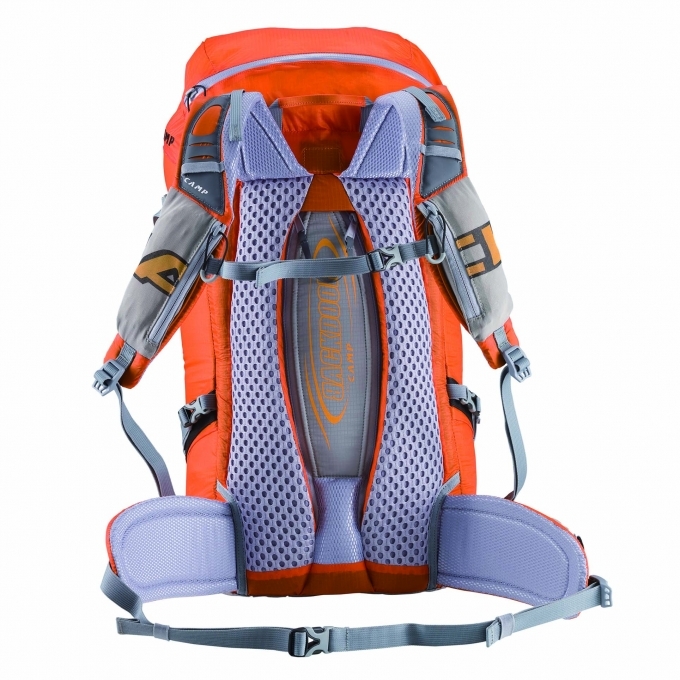 The Ascent Superlight is also designed with an active shoulder harness to allow full body movement with no loss in carrying comfort while moving fast over steep, technical ground. 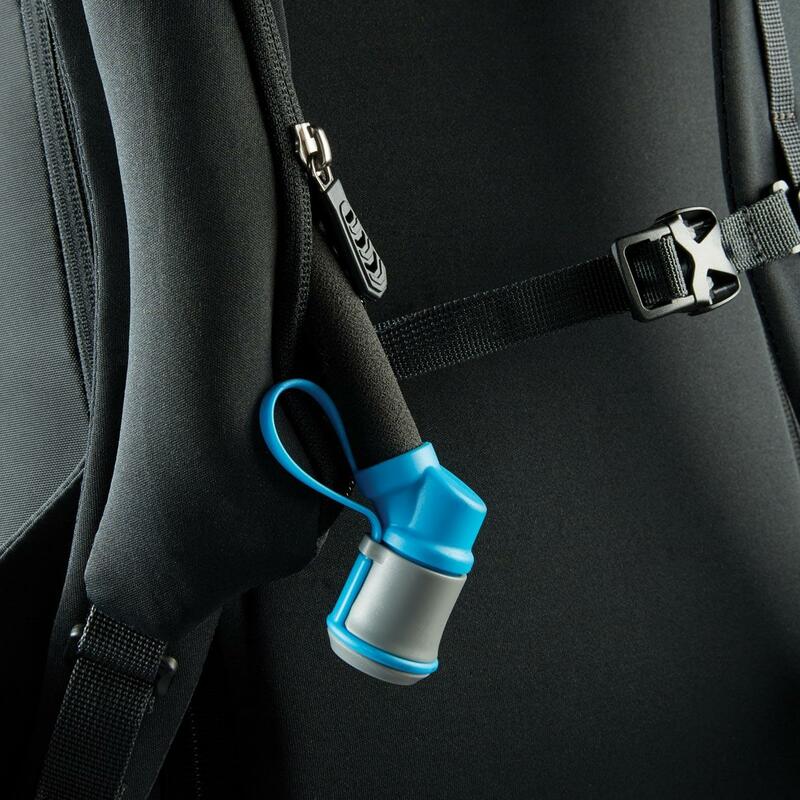 Our TriShield® Superlight fabric coating balances weight against water repellency to deliver a lightweight yet durable solution that retains a high tear resistance and excellent durability. 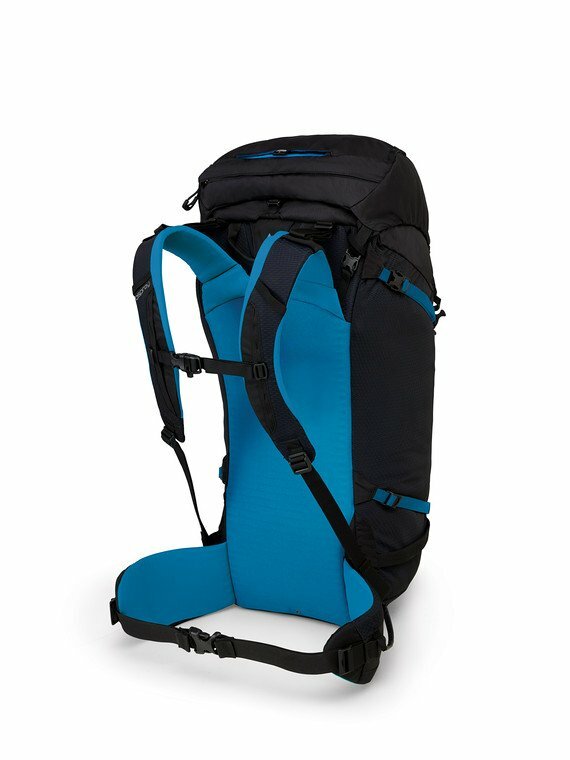 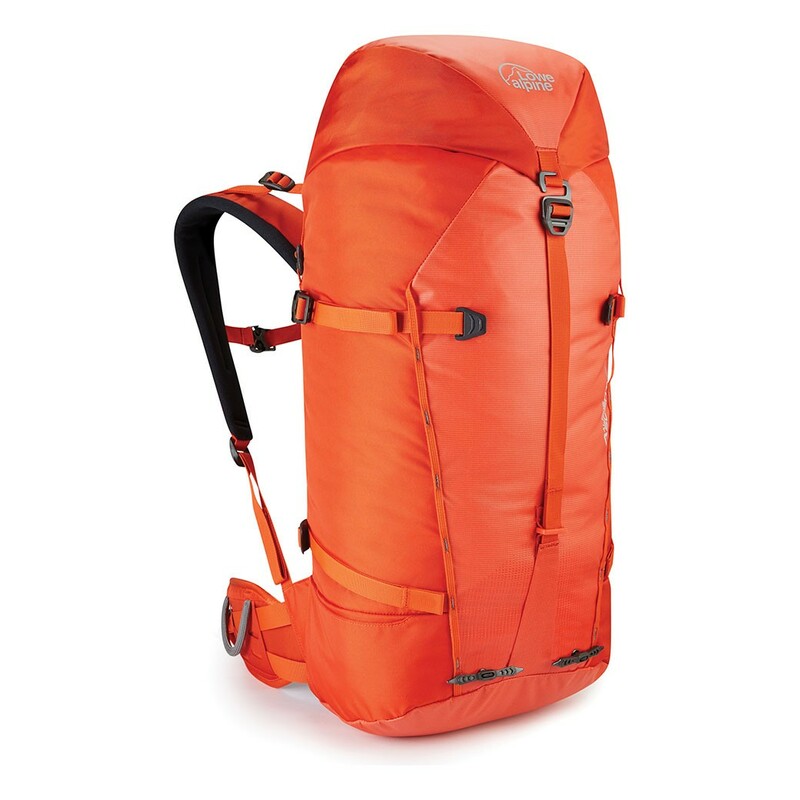 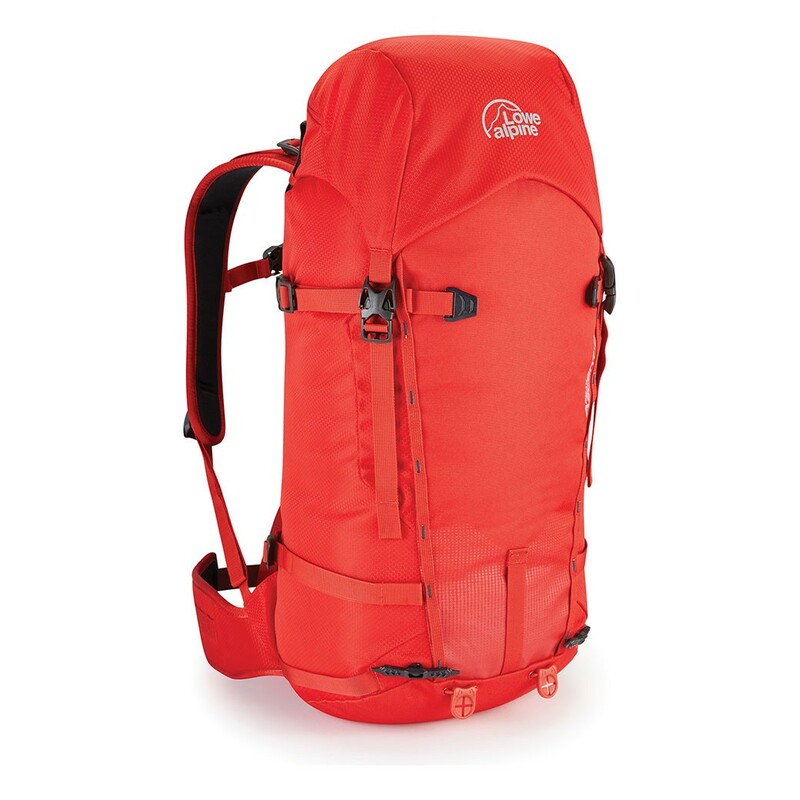 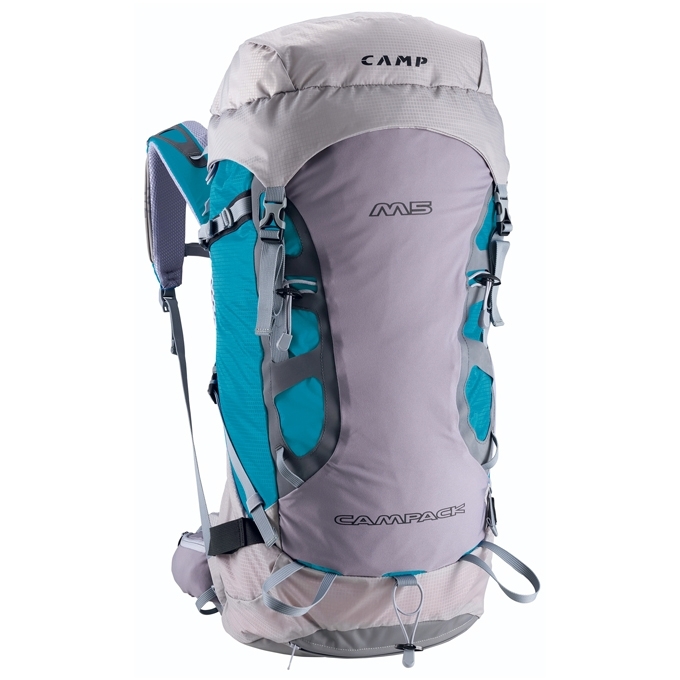 As an excellent entry level pack, this 38-litre backpack packs in the essential features of the Alpine Ascent to offer amazing value for money. 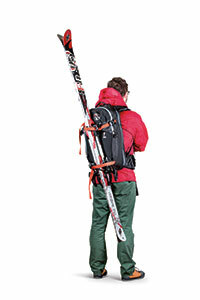 With this pack you'll be equipped for both rock and winter routes. 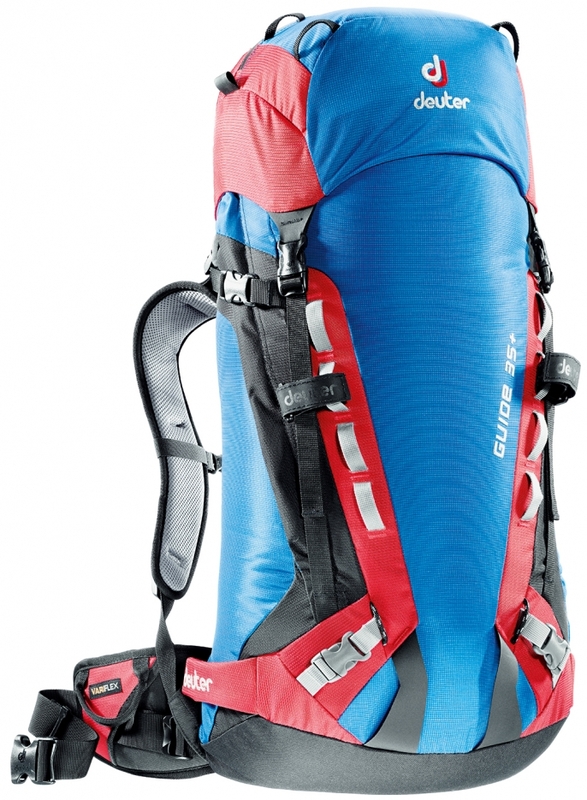 Ice-axe and crampon attachment systems, plus ice screw krab slots on the hip make this pack a go-to choice for your first forays into alpine and winter mountaineering. 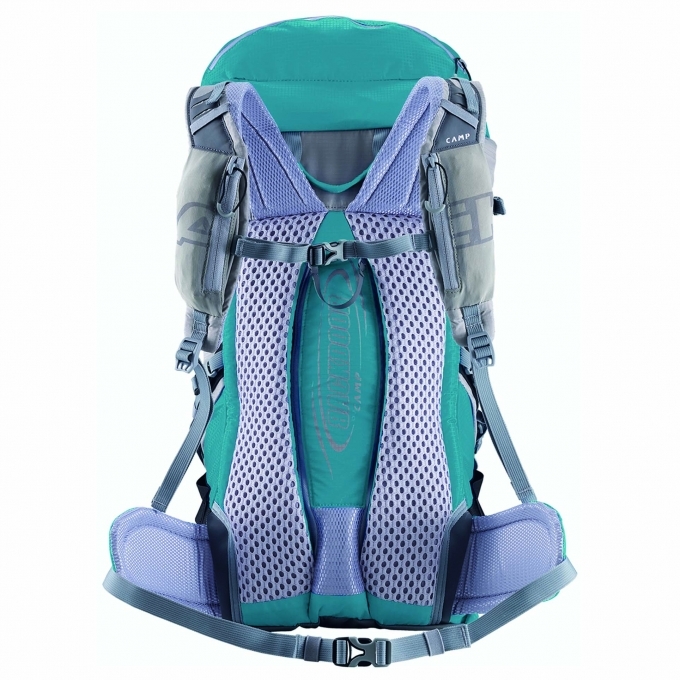 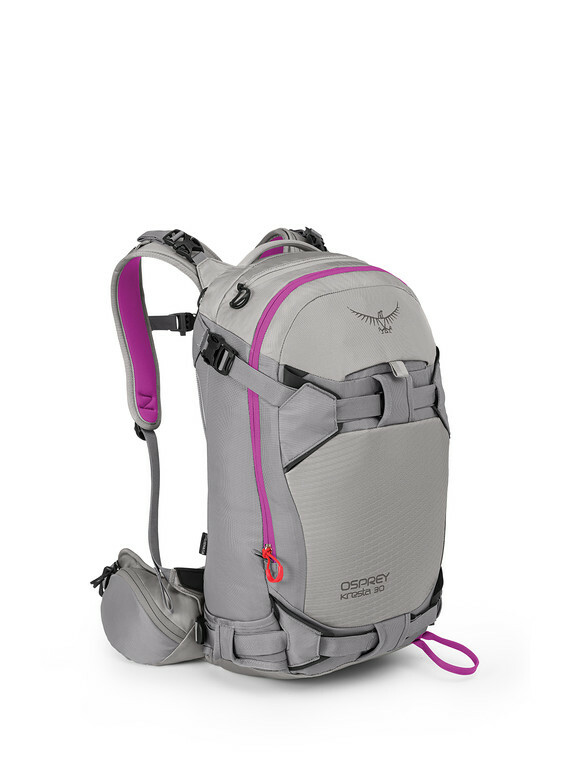 The Peak Ascent ND 38 incorporates the refined geometry of our carefully designed women’s back systems, offering a super comfortable and secure carry. 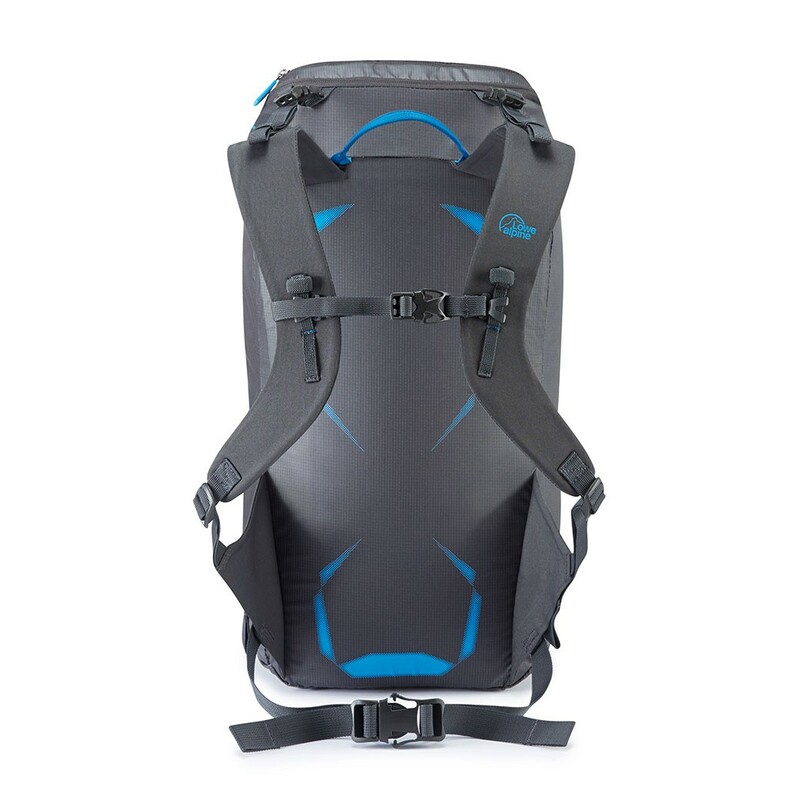 Our Moulded back system is comfortable, supportive and snow shedding with grip panels for load stability. 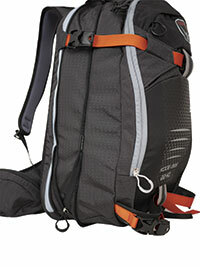 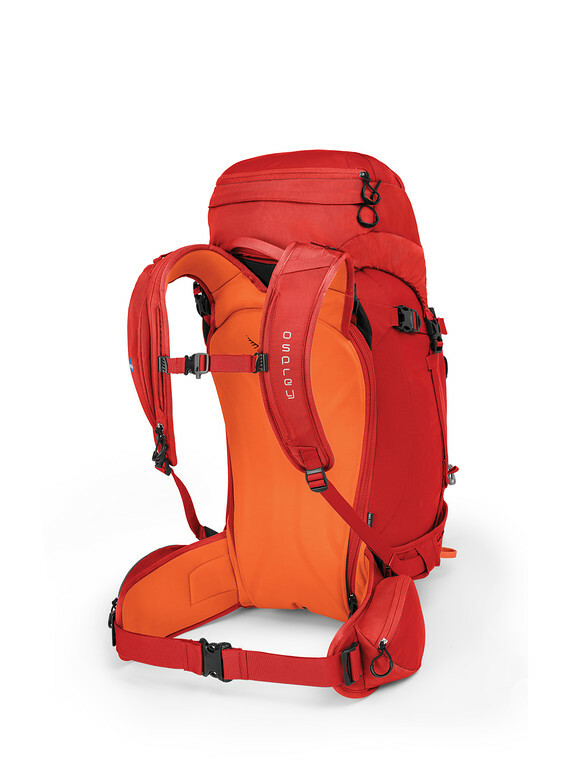 A highly technical all-mountain daypack, the Axis 24 features a zippered top-loading design and our reACTIV suspension. 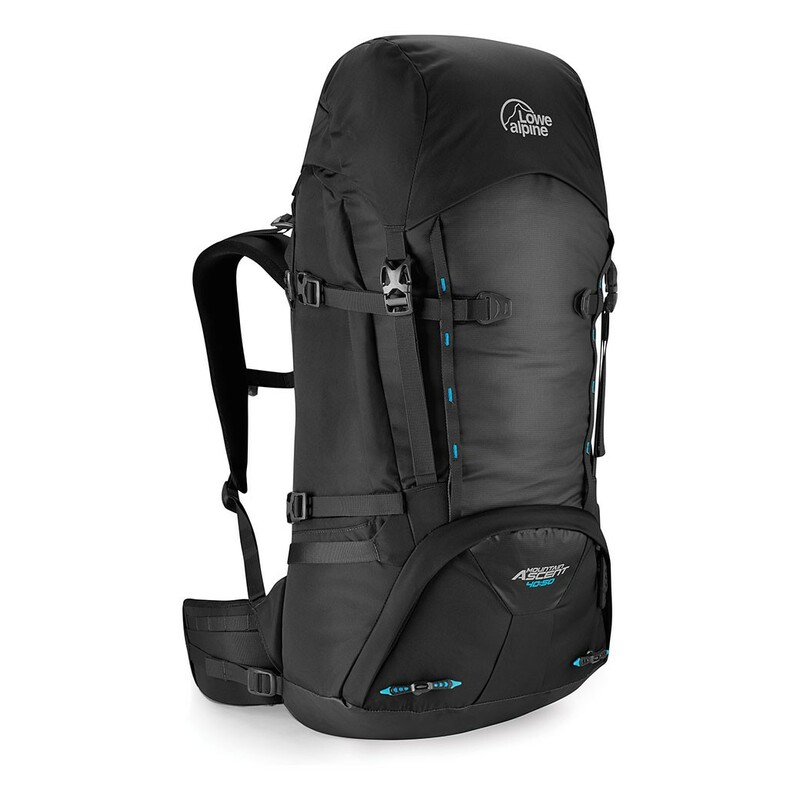 For serious daytrips in the alpine, the Black Diamond Axis 24 features reACTIV suspension combined with SwingArm™ shoulder straps that match every movement during the approach and on route, minimalizing pack interference. 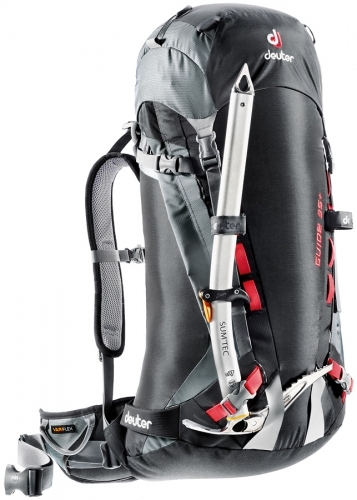 The 24-liter capacity allows room for a light rack and extra layer, while micro ice-tool PickPockets™, crampon attachments and tuck-away rope strap secure your equipment and cord on the approach. 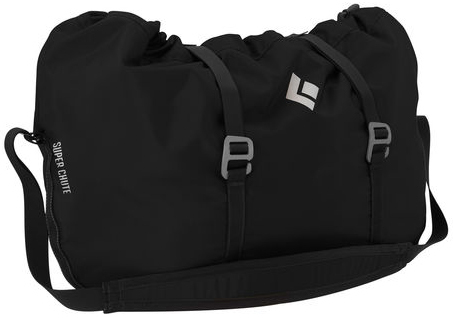 When easy access to your gear is paramount, the Black Diamond Stone Duffel offers simple construction and easy accessibility with an emphasis on lightweight comfort. 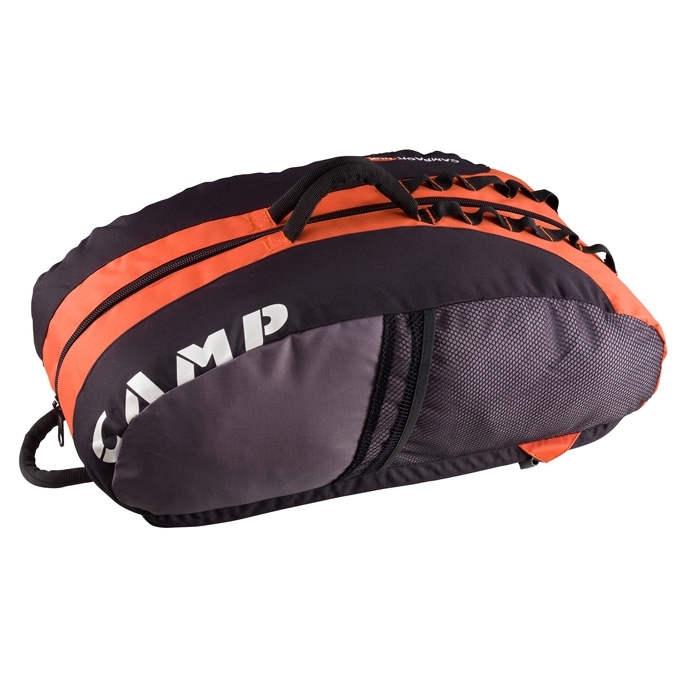 Two internal pockets keep your need-to-reach essentials organized, a full-length zipper provides ample access to your gear and the removable rope tarp adds functionality. 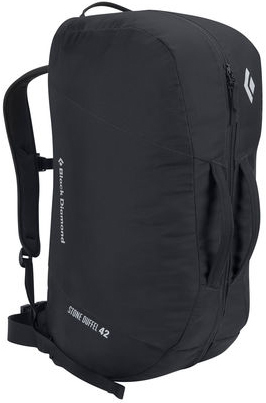 Volume: 40 + 8 litre . 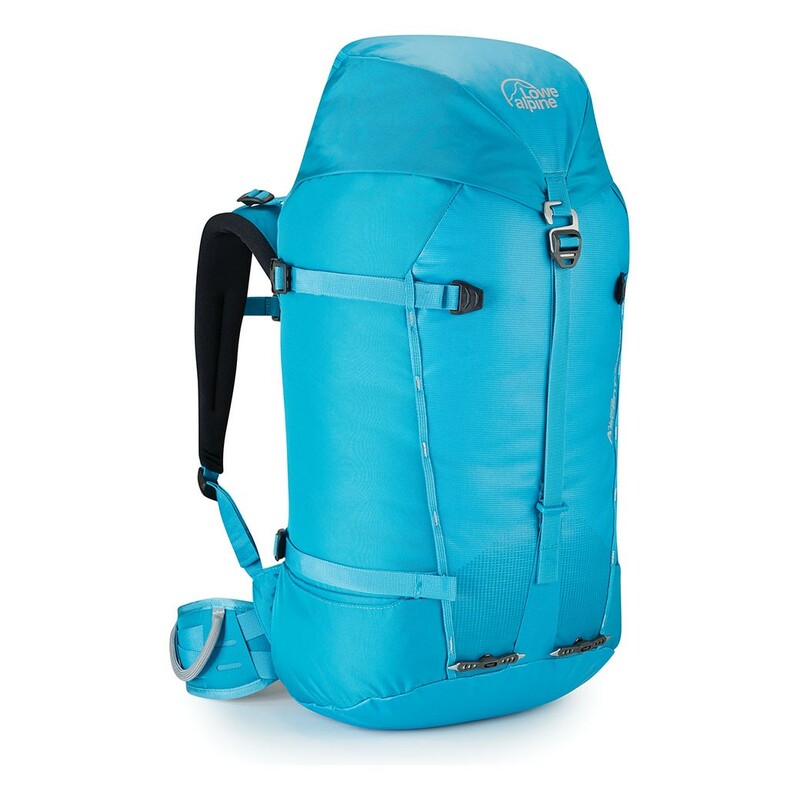 Size: 74 / 33 / 23 (H x W x D) cm . 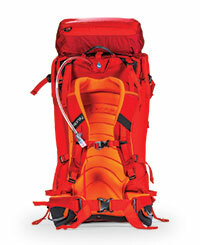 It carries all the hardware and is built to take a beating: the Guide is a strong companion for rough outings. 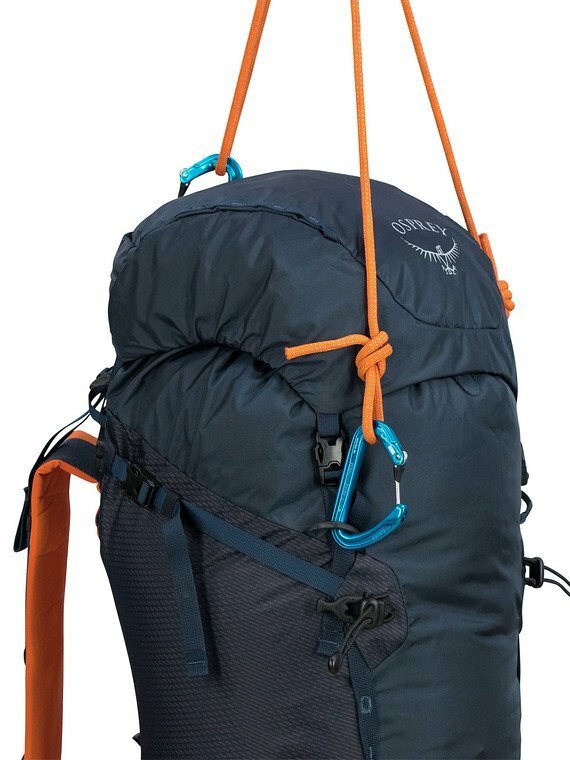 The revised pack now shows a sleek shape, features an improved ice axe holder, and the new position of the hip fin anchor points provide a very compact, body-hugging fit for complete carry control. 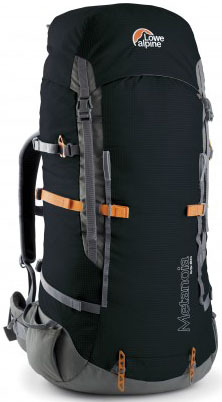 Volume: 35 + 8 litre . 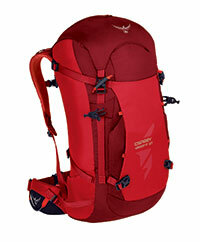 Size: 72 / 32 / 22 (H x W x D) cm .